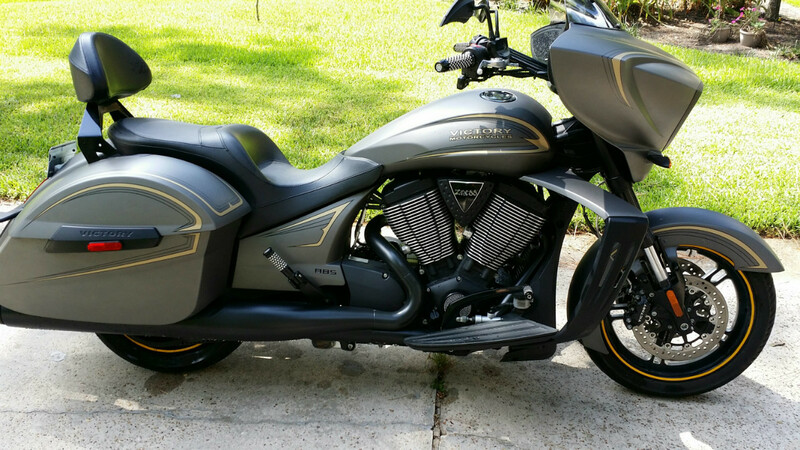 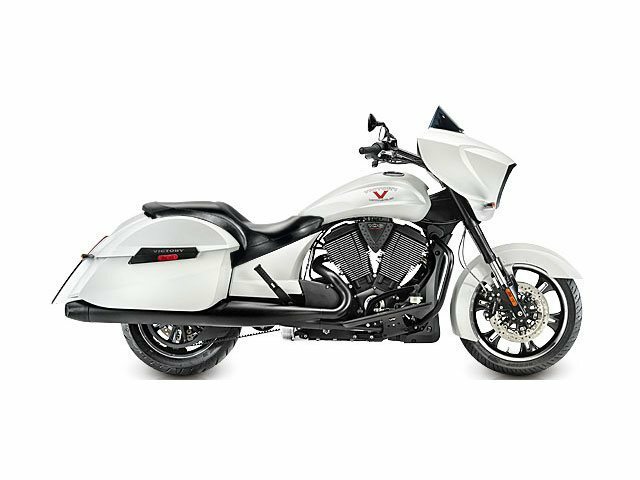 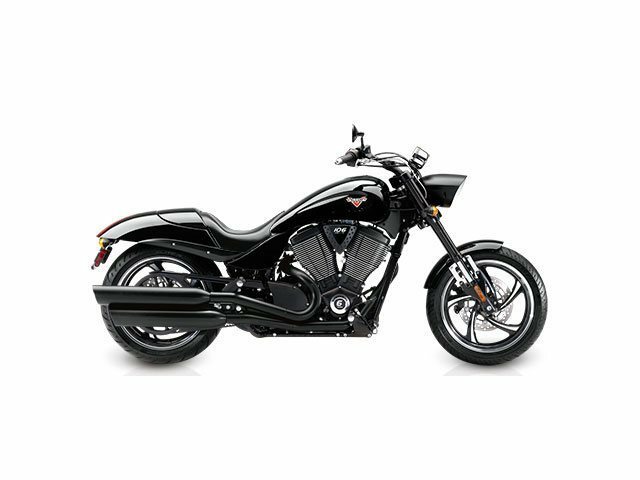 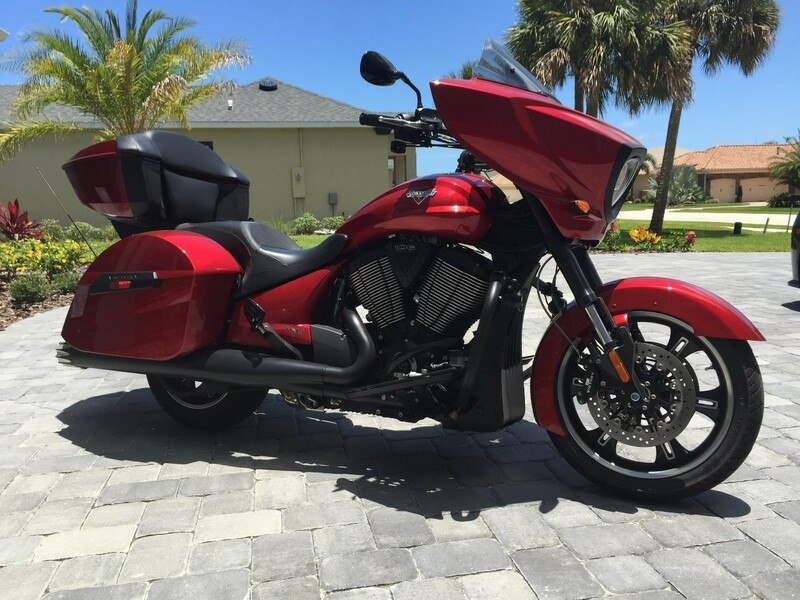 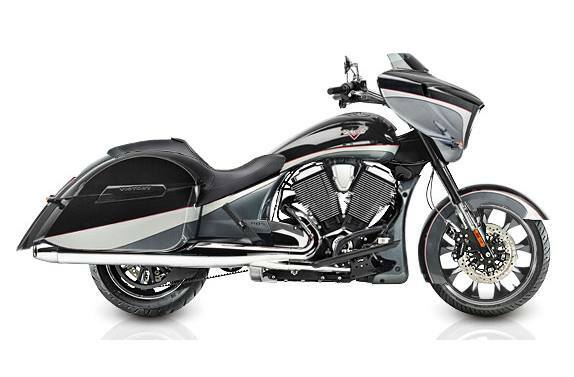 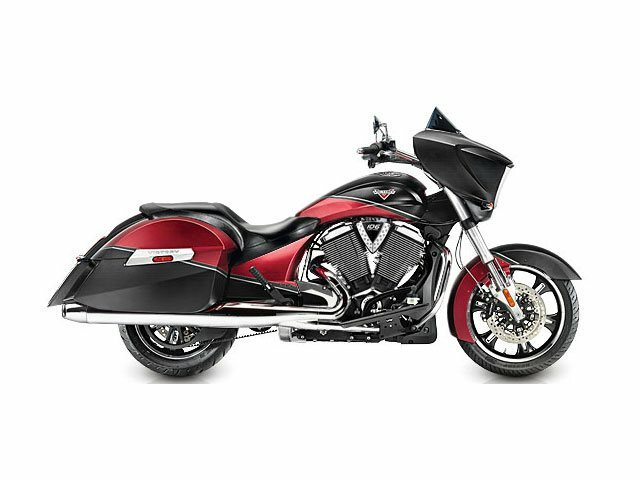 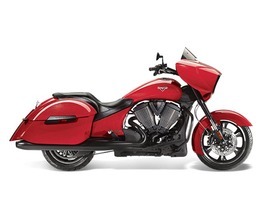 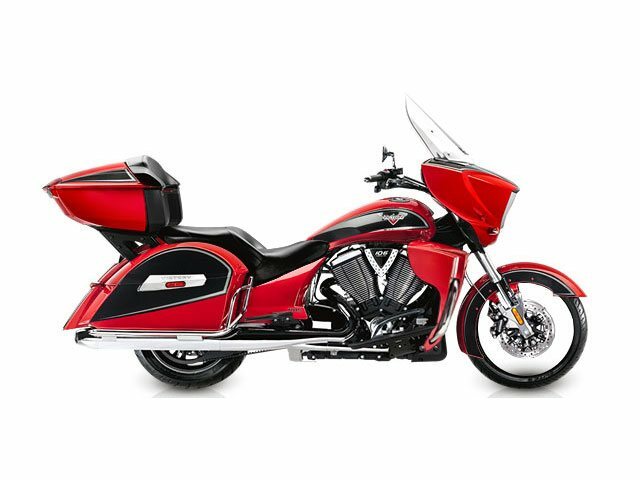 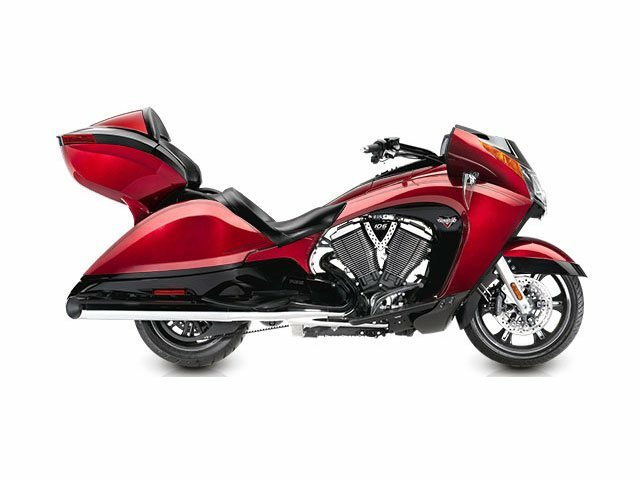 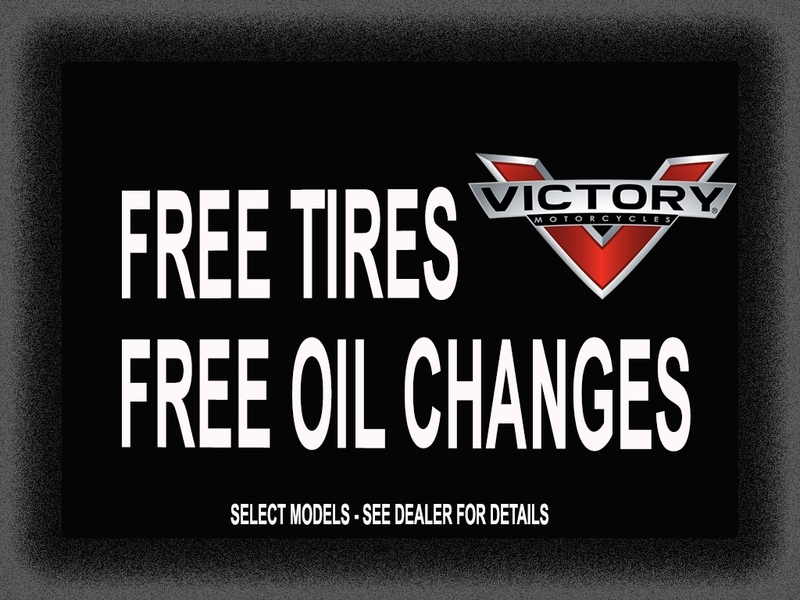 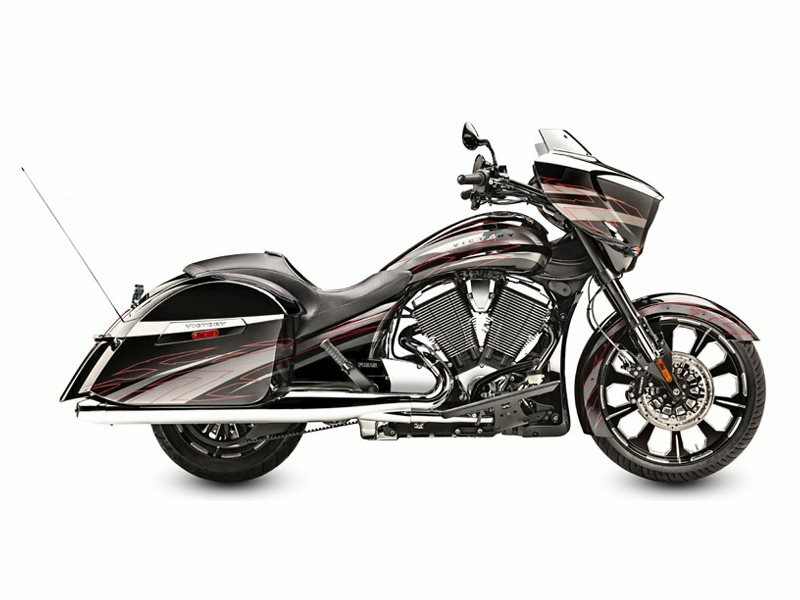 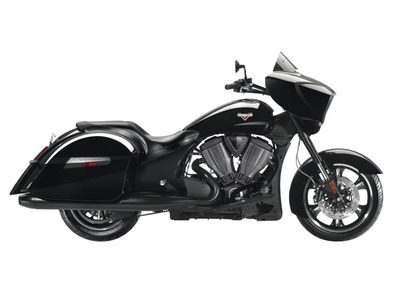 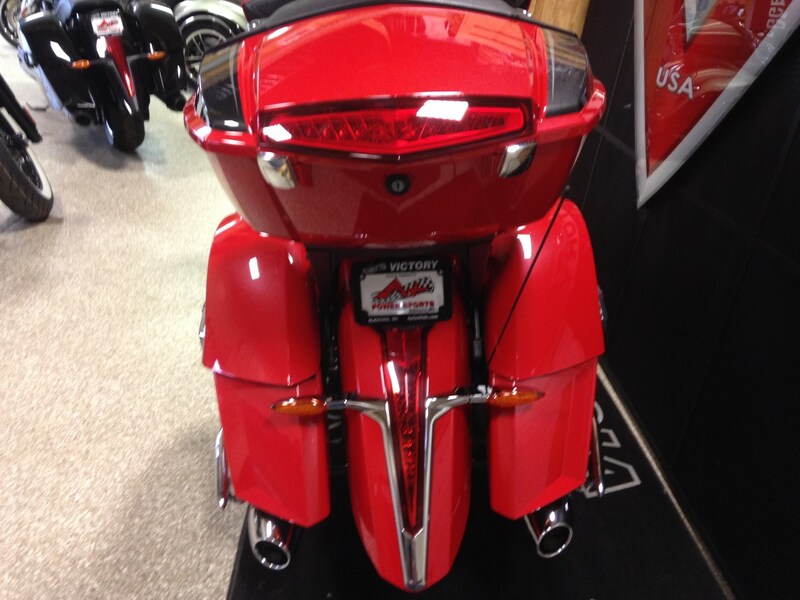 Victory Motorcycles - Polaris Industries Inc. A Victory motorcycle is a non-stop, heart pumping, adrenaline machine. 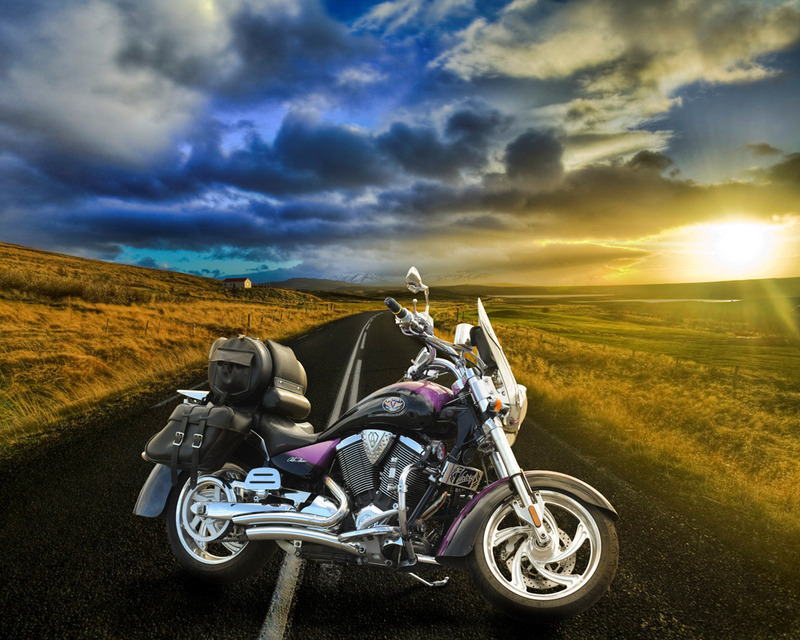 Every ride sparks a surge of exhilaration. 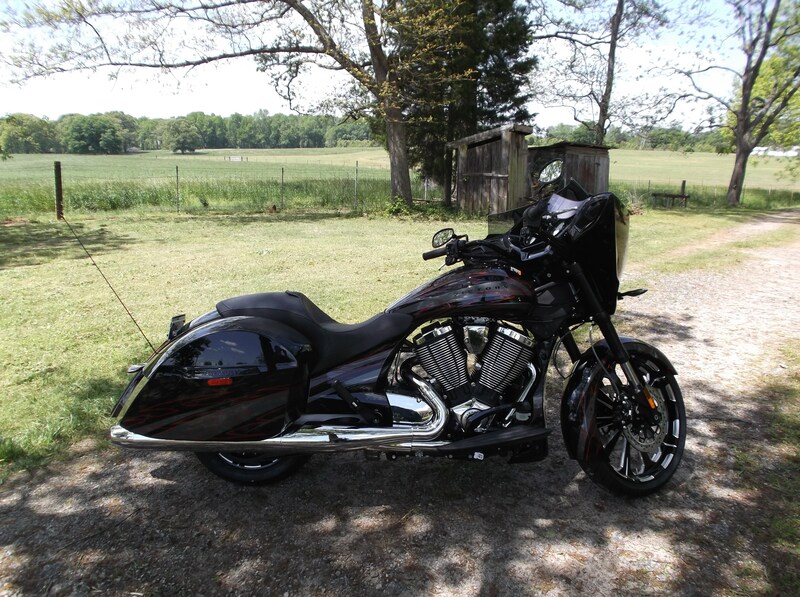 Every mile reminds you why you love to ride. 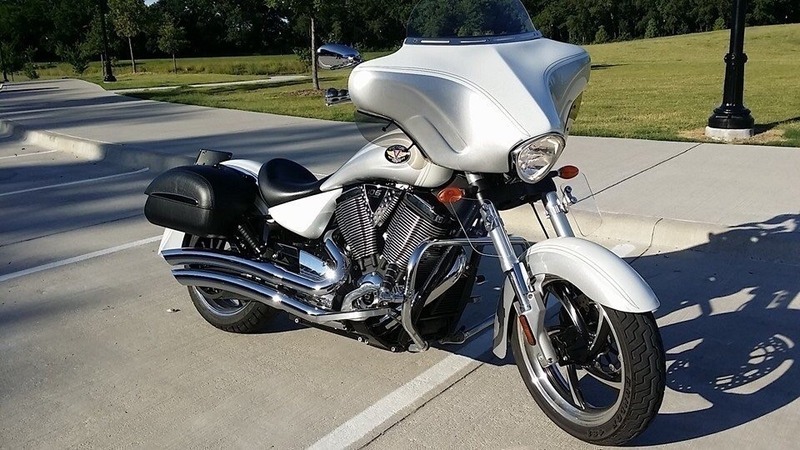 Each twist of the throttle accelerates a rush of emotions as 106 cubic inches of modern American muscle forms a direct link between the blacktop and your white knuckles. 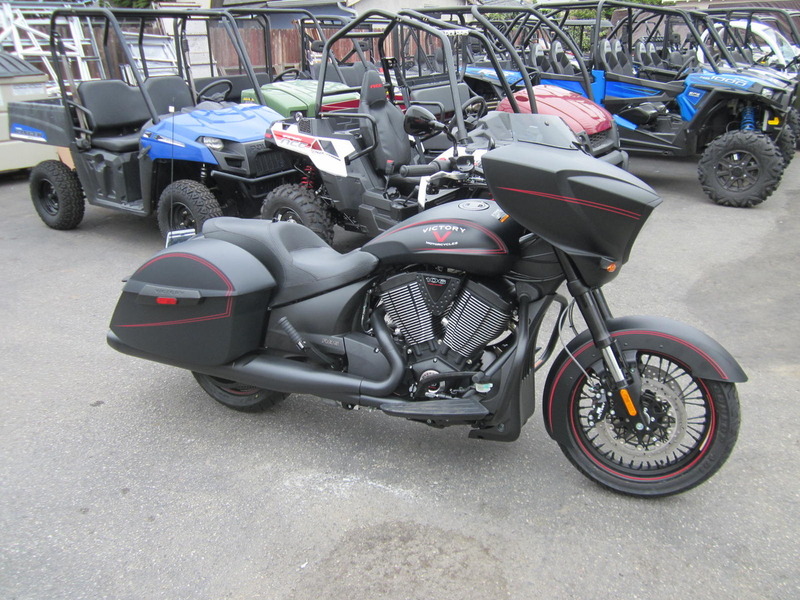 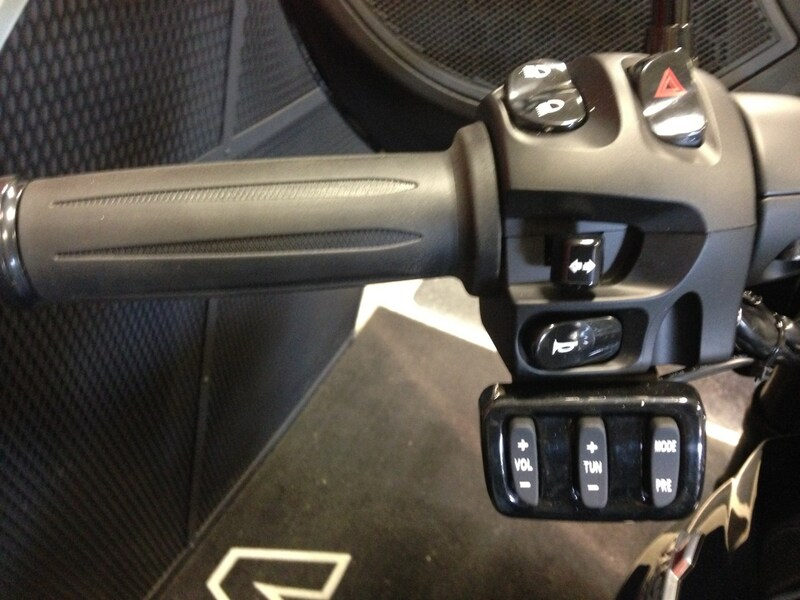 2015 Victory Magnum X-1, Stock - Twist the throttle and crank the volume. 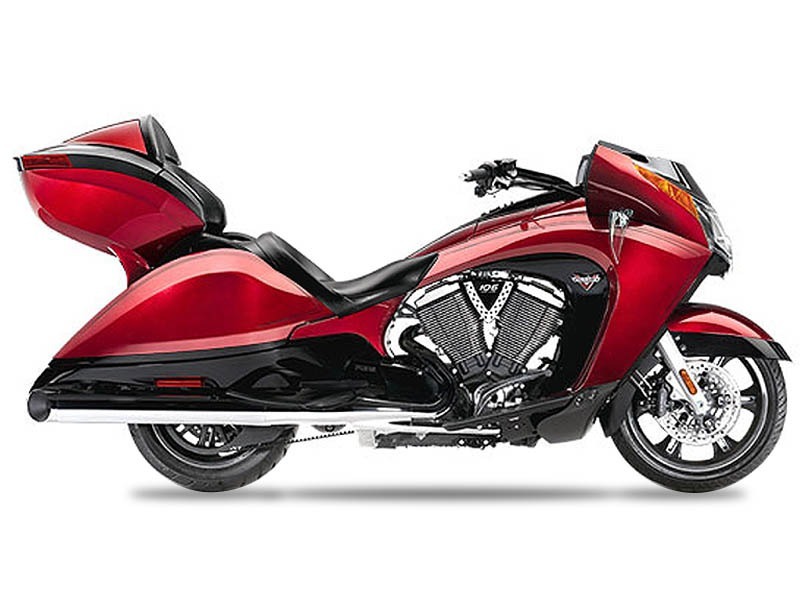 On the Magnum X-1, pushing the sound barrier is about more than just speed. 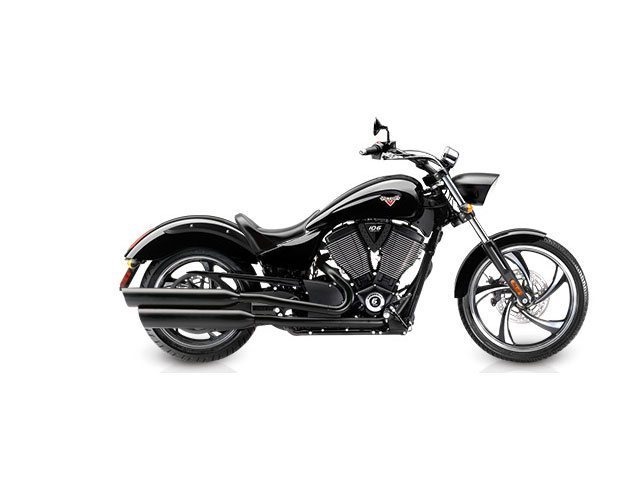 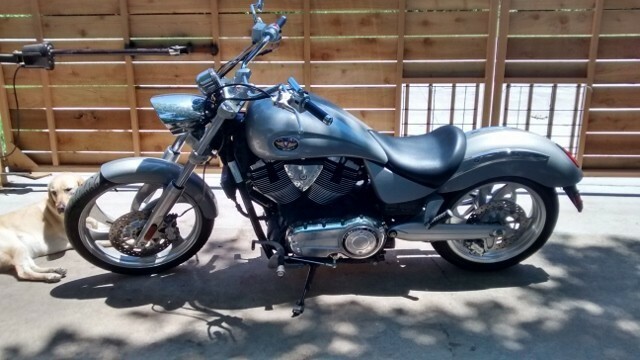 Throw a leg over and plug into 10 speakers blasting 200 watts powered by a 106 cubic inch Freedom V-twin. 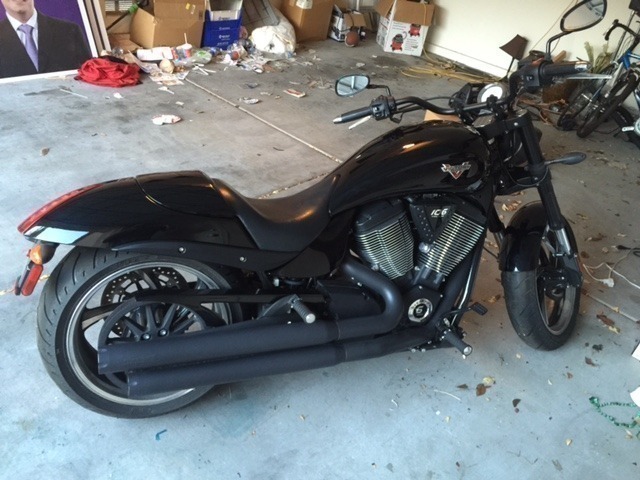 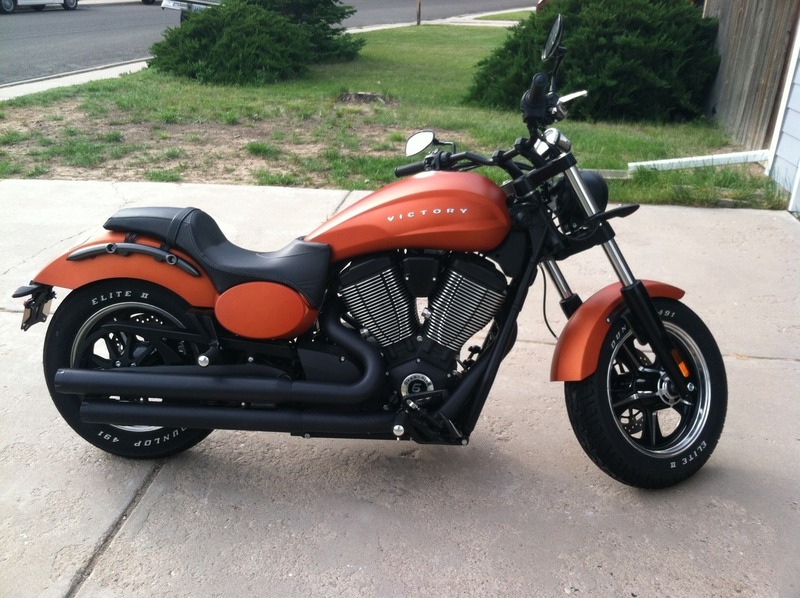 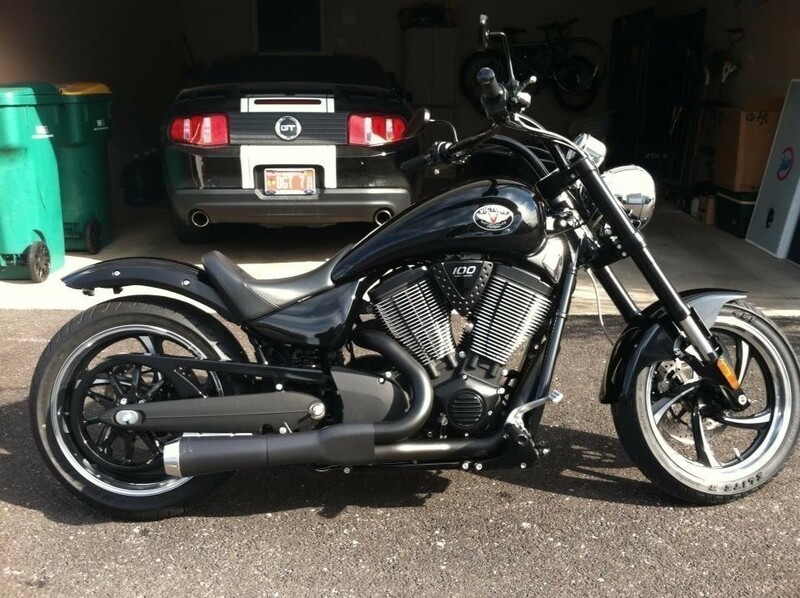 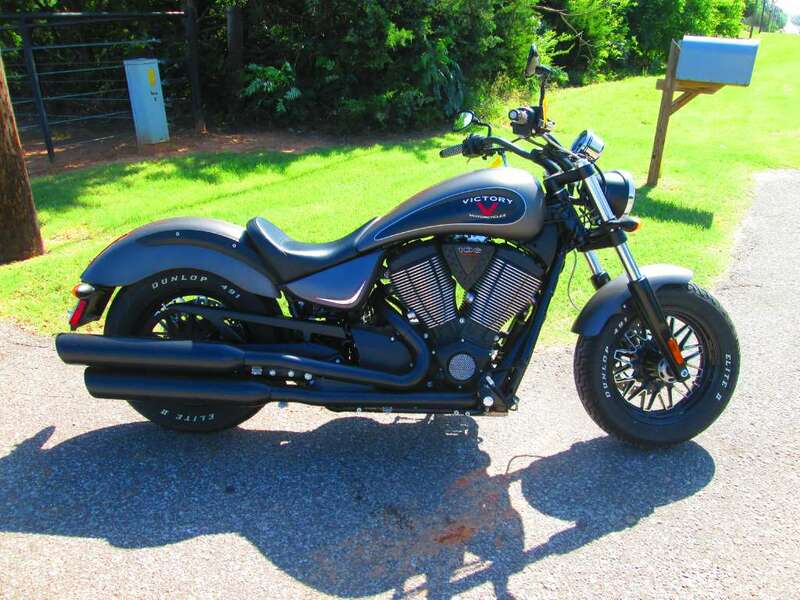 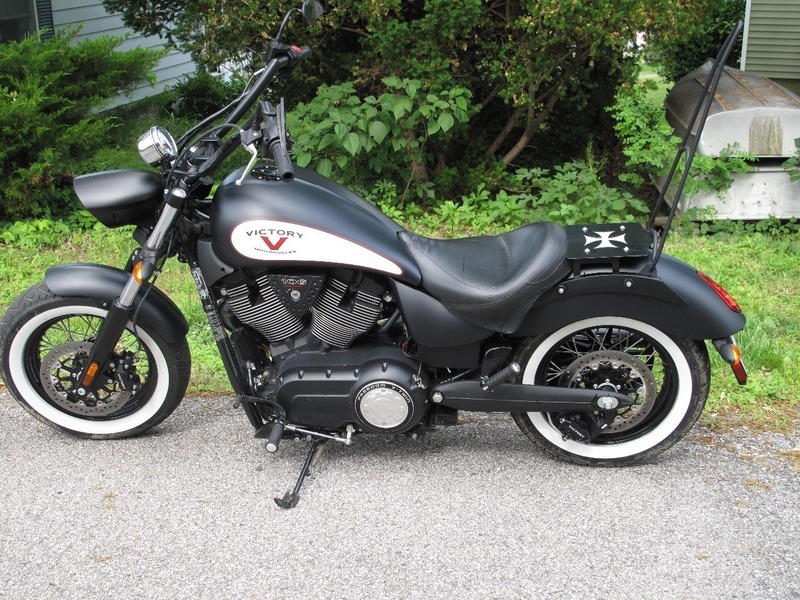 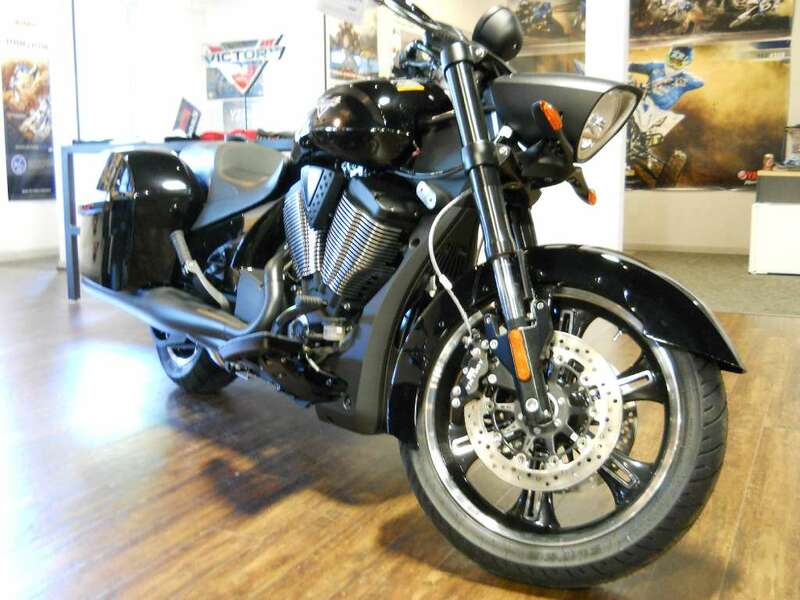 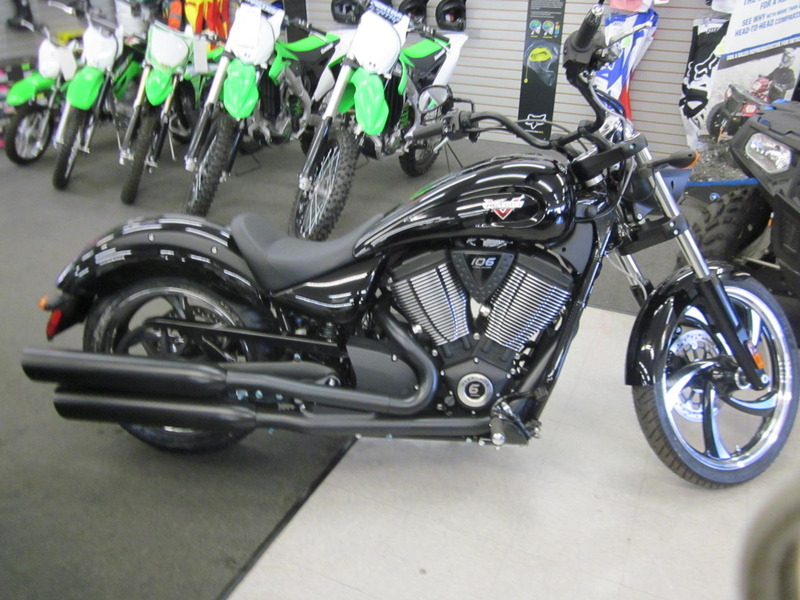 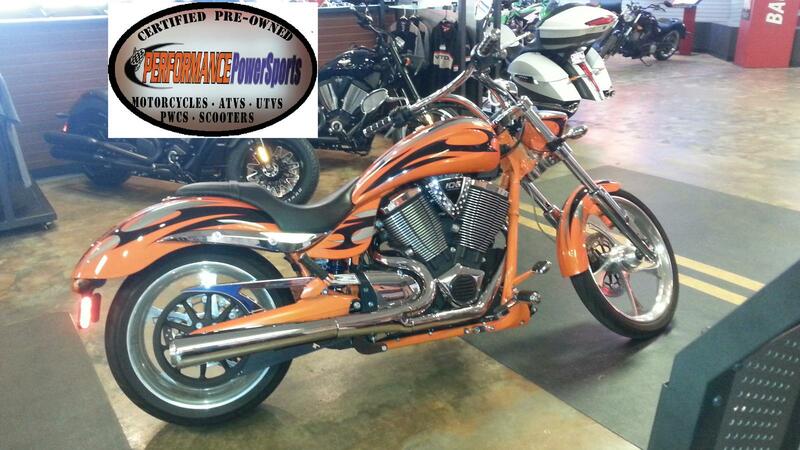 2013 VICTORY High-Ball, Comes with LED tail light, timing gear and 2 into 1 pipe. 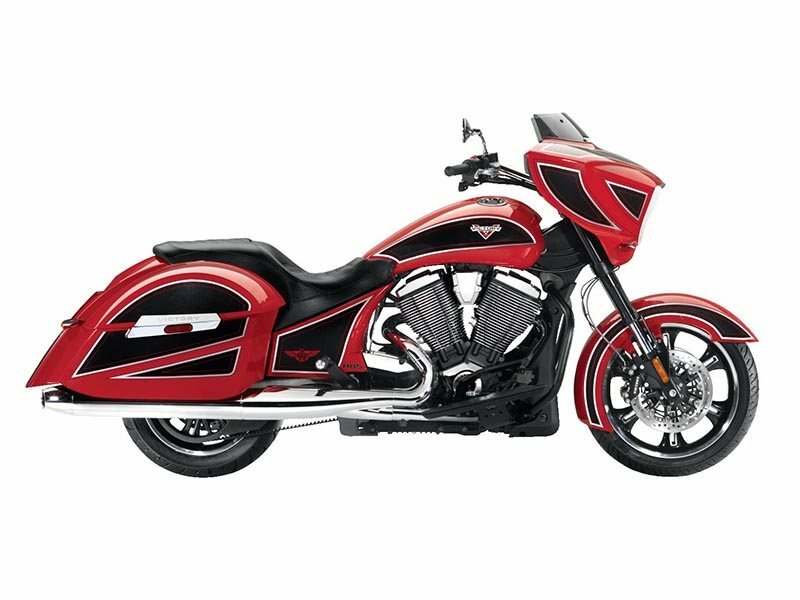 Must Qualify for Hero's Metal for Discounted Price! 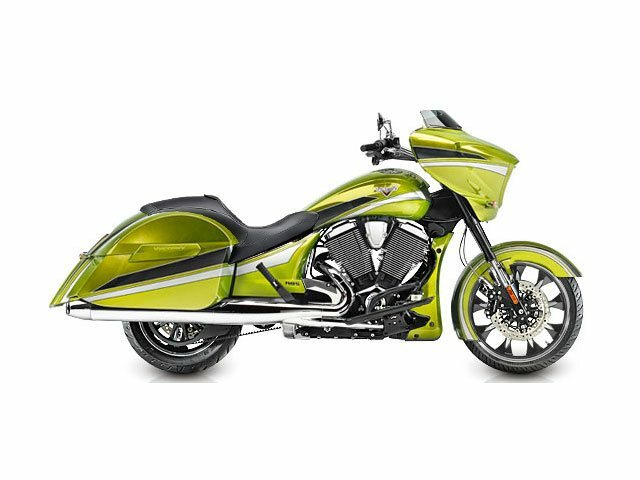 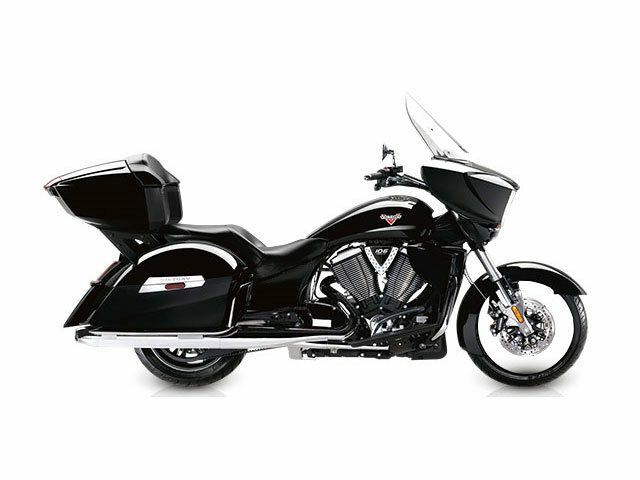 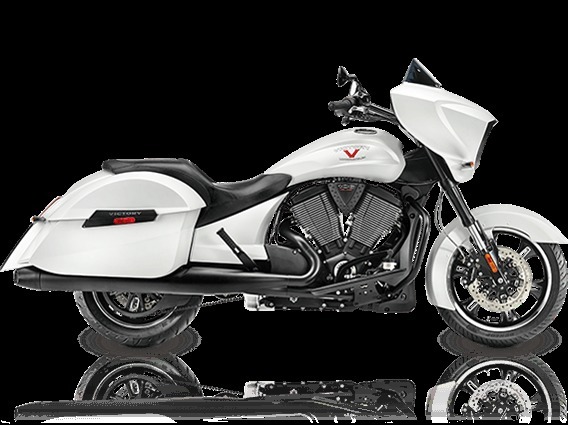 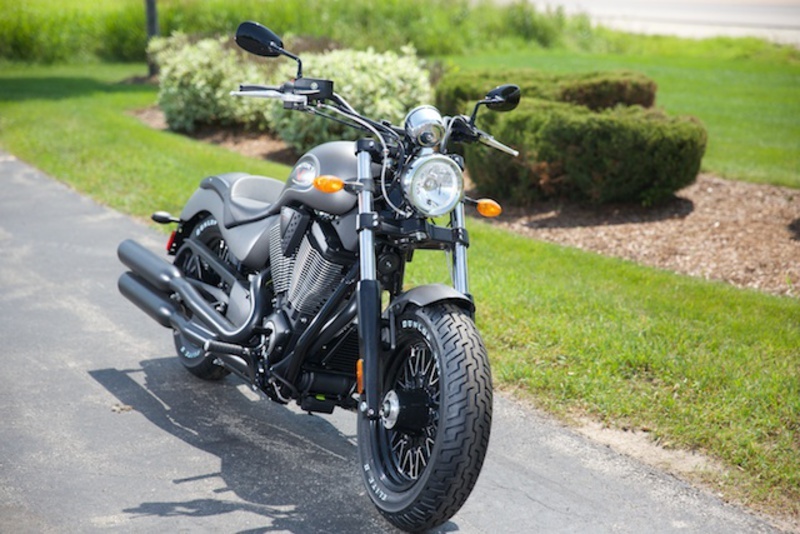 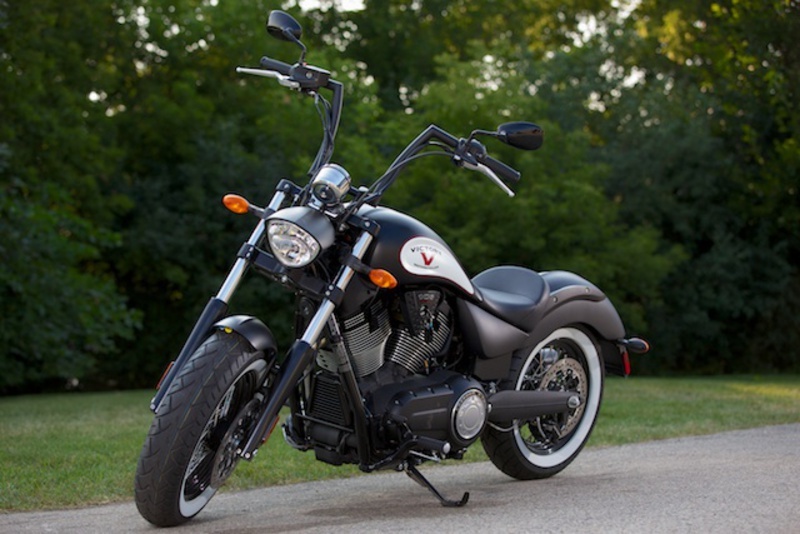 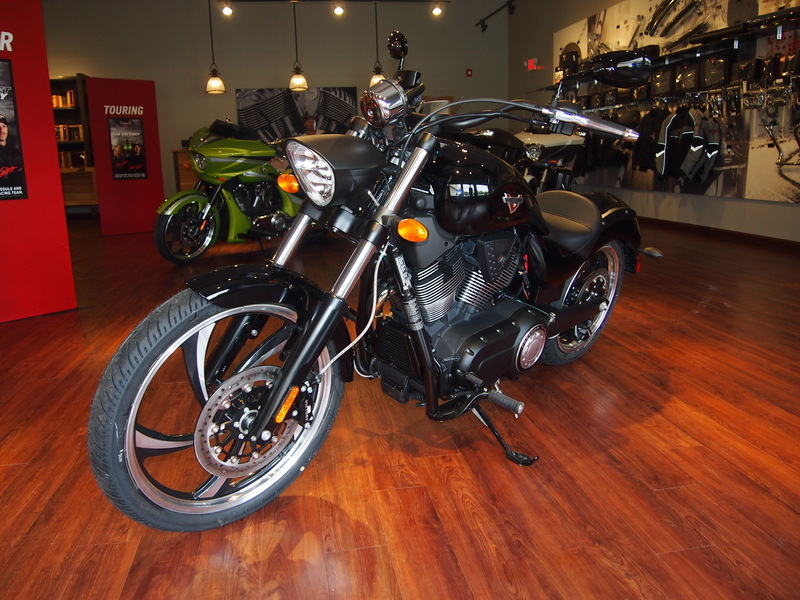 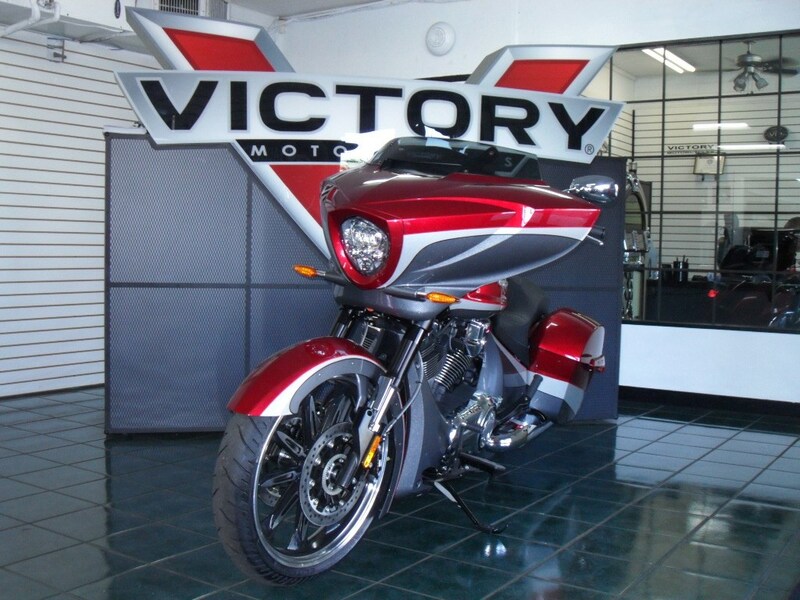 2015 VICTORY Vegas 8-Ball, Check out this cruiser motorcycle from Victory - the 2015 Victory Vegas 8-Ball. 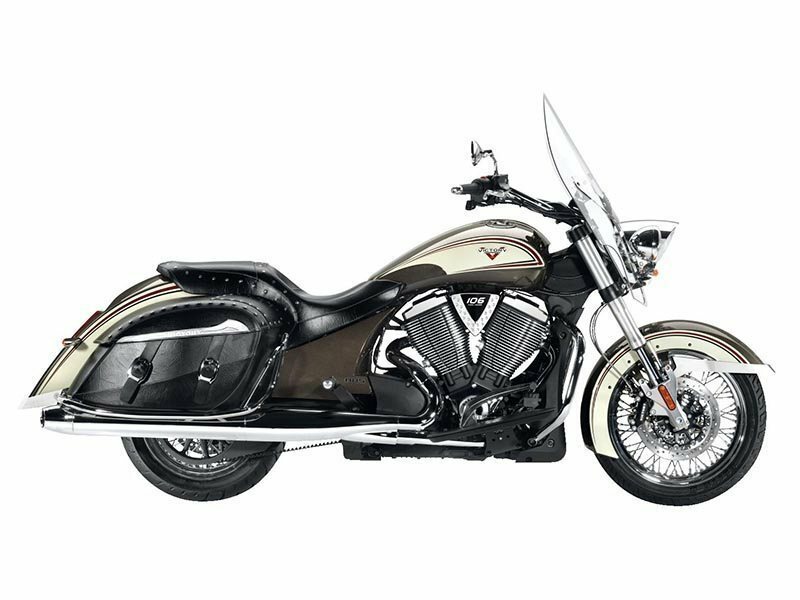 It features iconic Vegas styling with a raised spine running the length of the motorcycle on the bodywork both fenders and the split-tail fuel tank. 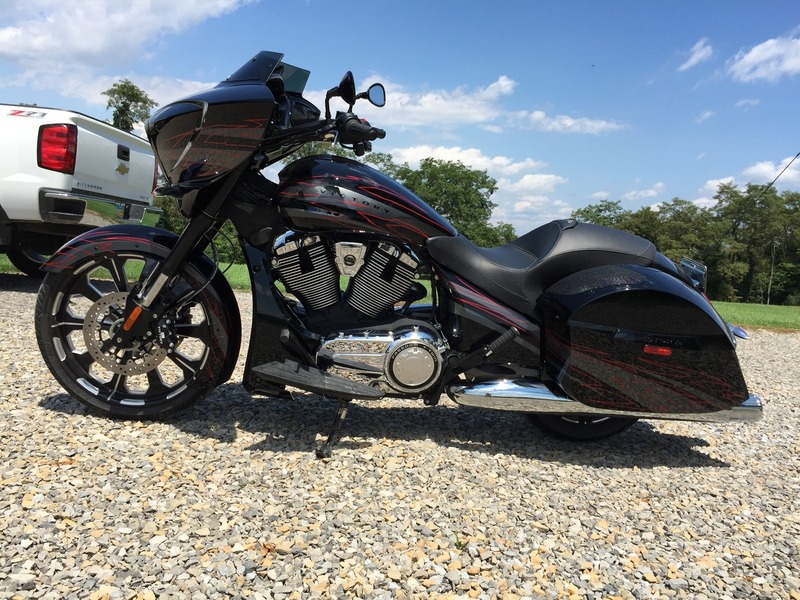 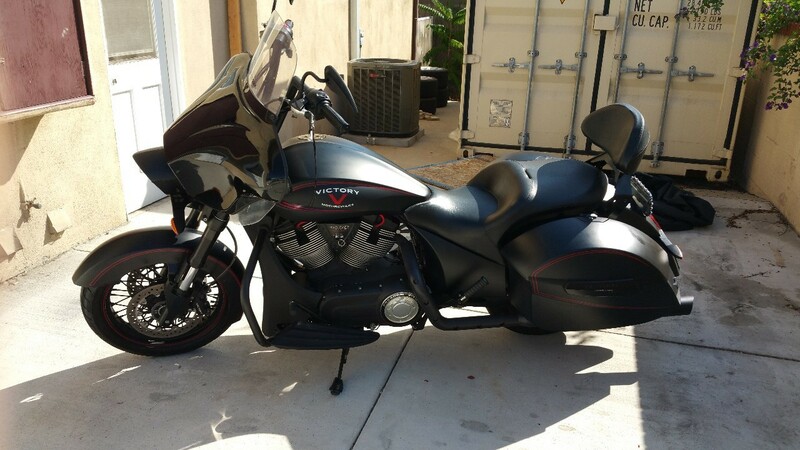 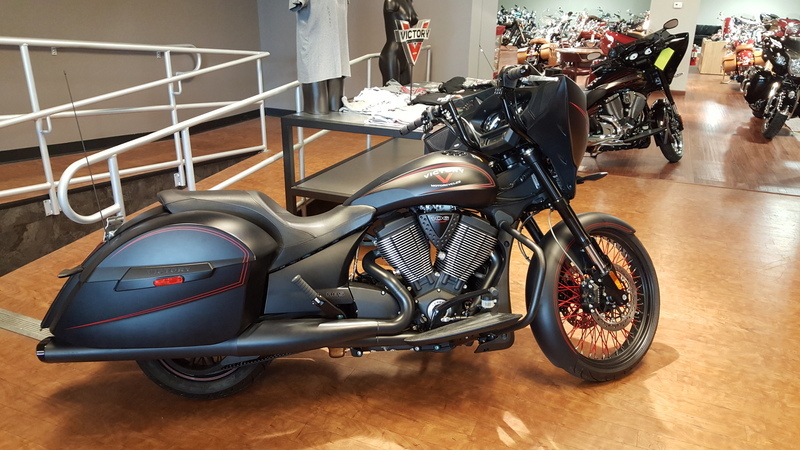 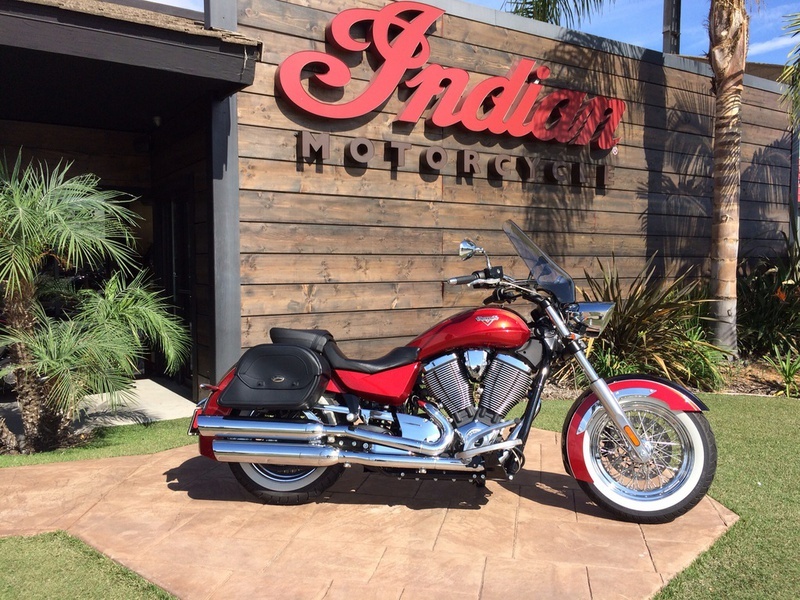 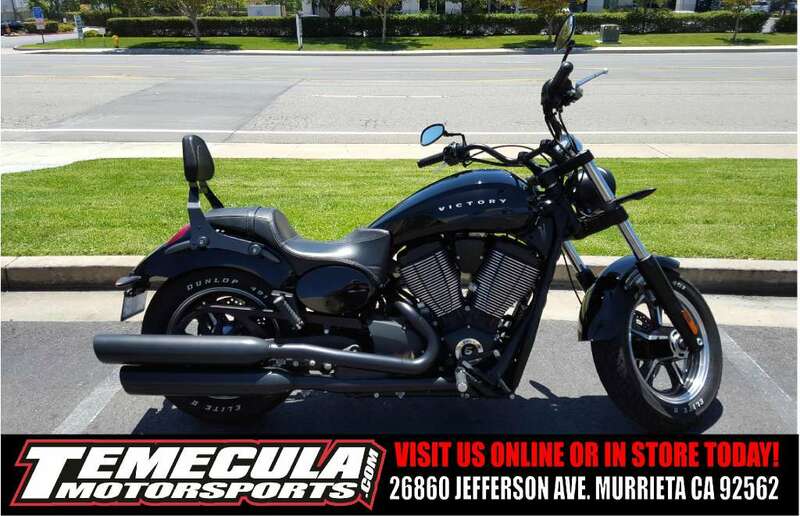 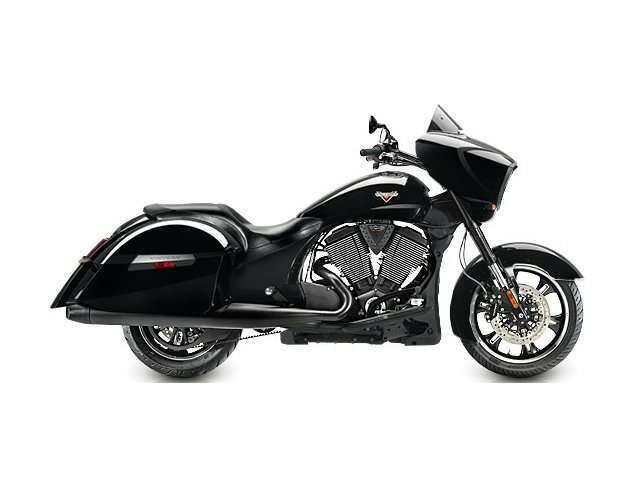 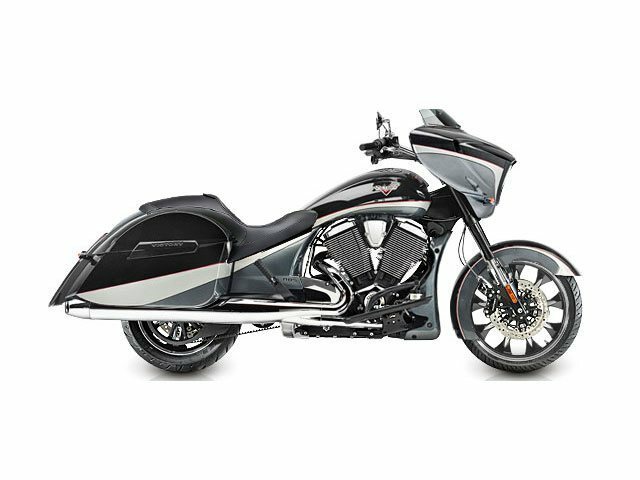 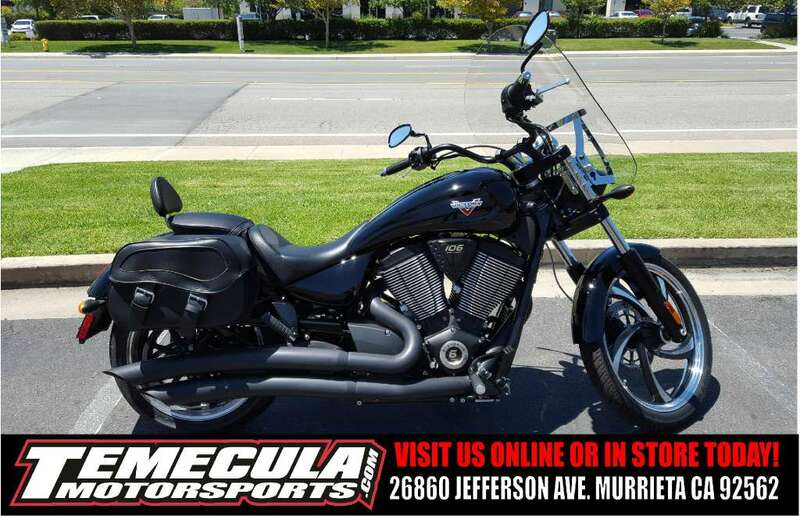 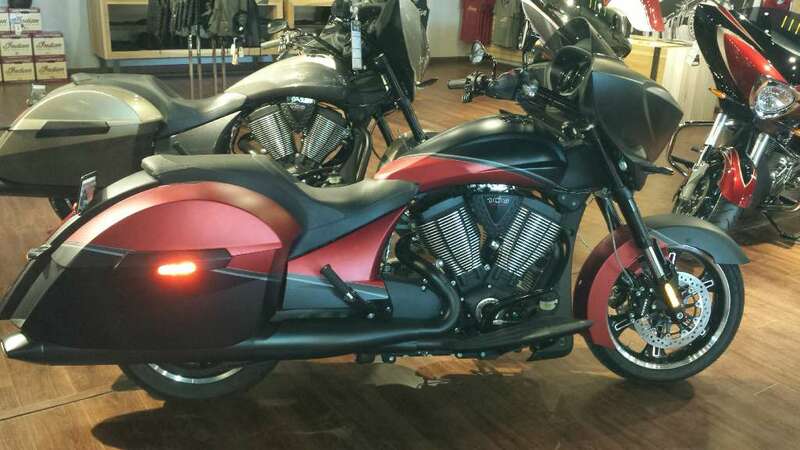 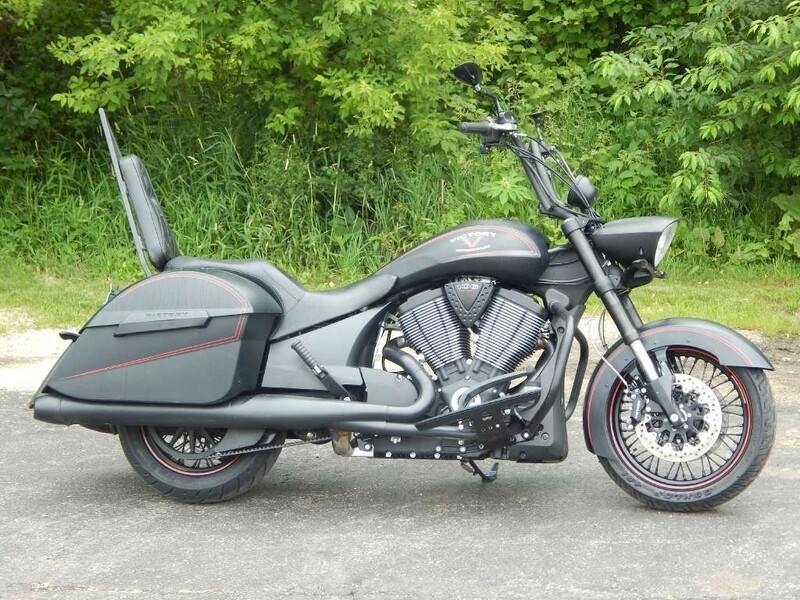 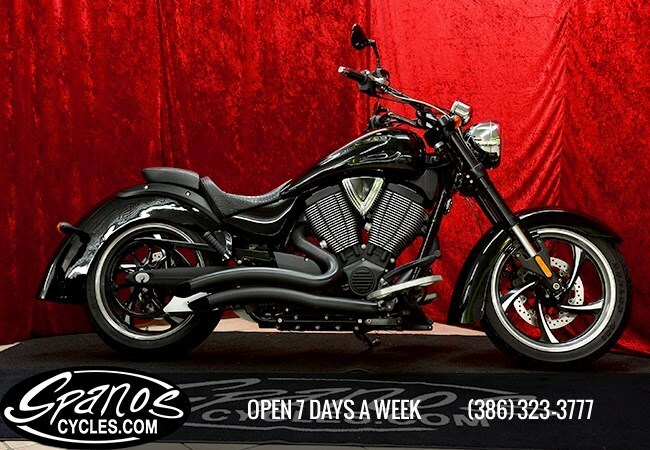 2015 Victory Cross Country Suede Black with Red Pinstripes, CUSTOMIZED WITH 23" SPOKE WHEEL,CUSTOM FENDER,NESS ADJUSTABLE APE HANGERS,6" RAKE KIT,VICTORY TRI OVAL EXHAUST AND MORE COMES WITH 5 YEAR WARRANTY ALL FINANCE APPLICATIONS ACCEPTED!!! 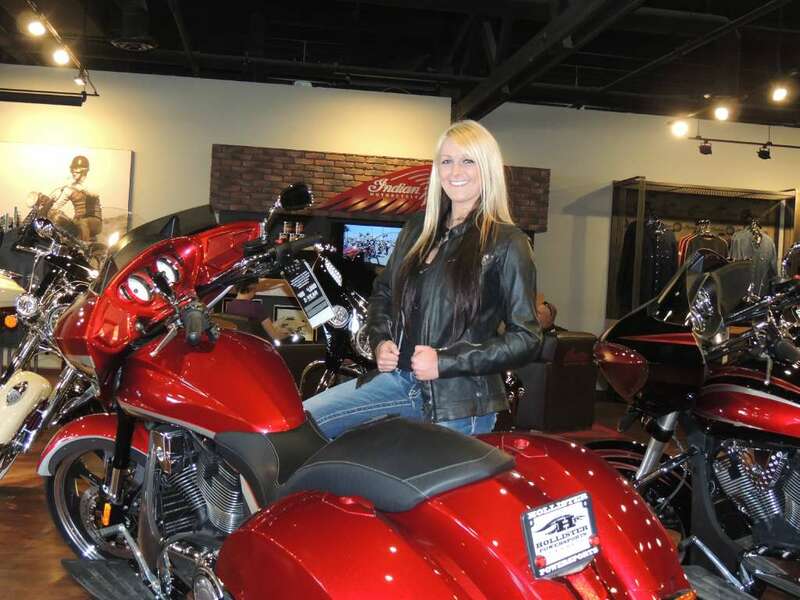 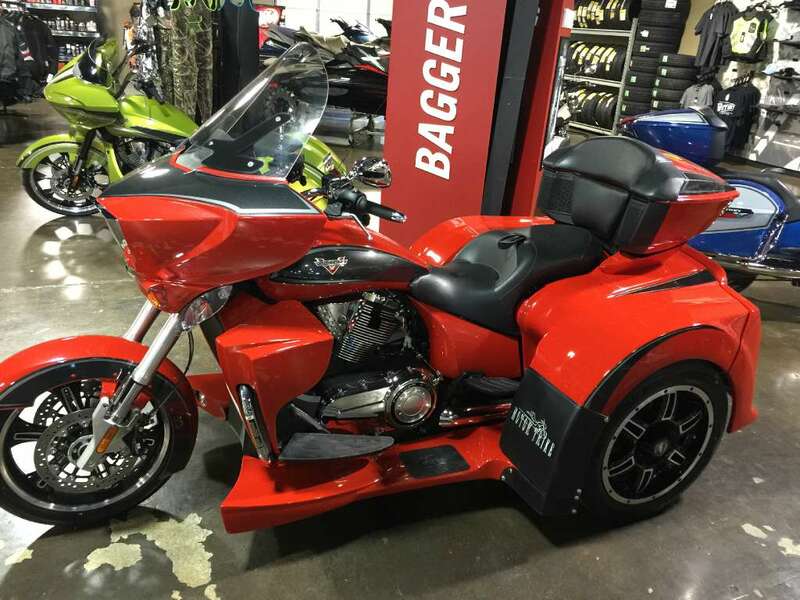 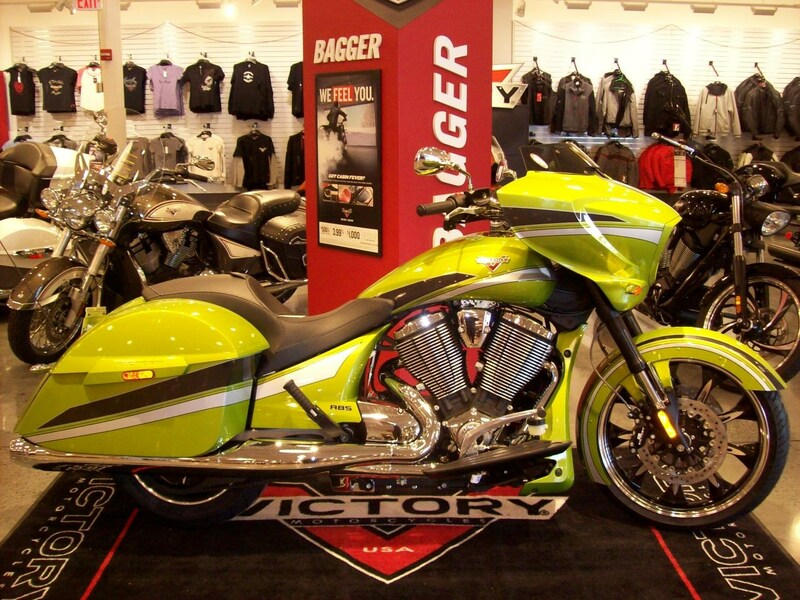 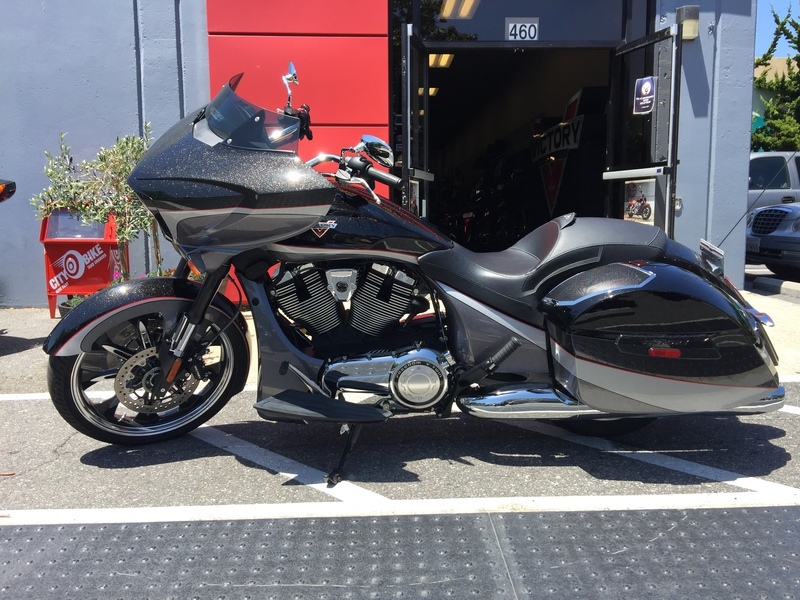 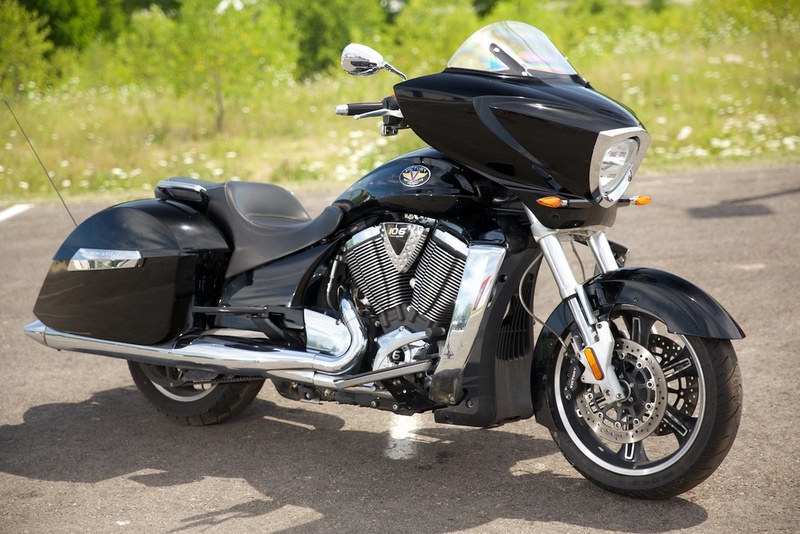 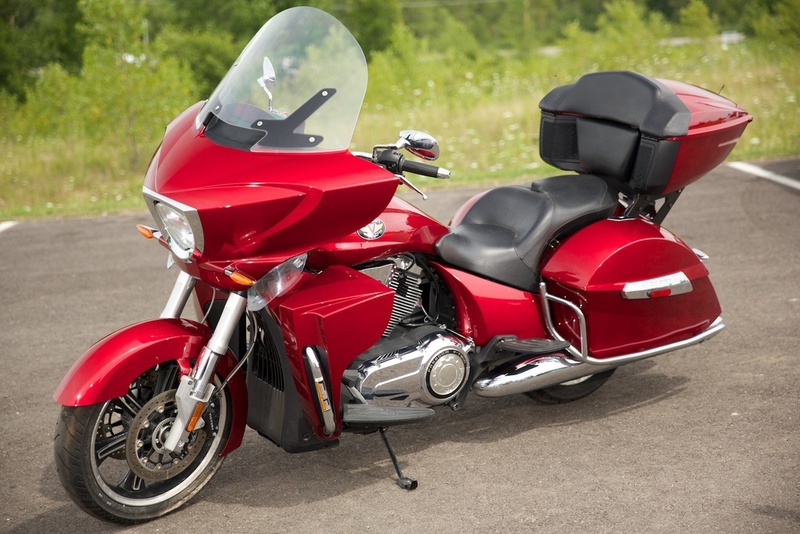 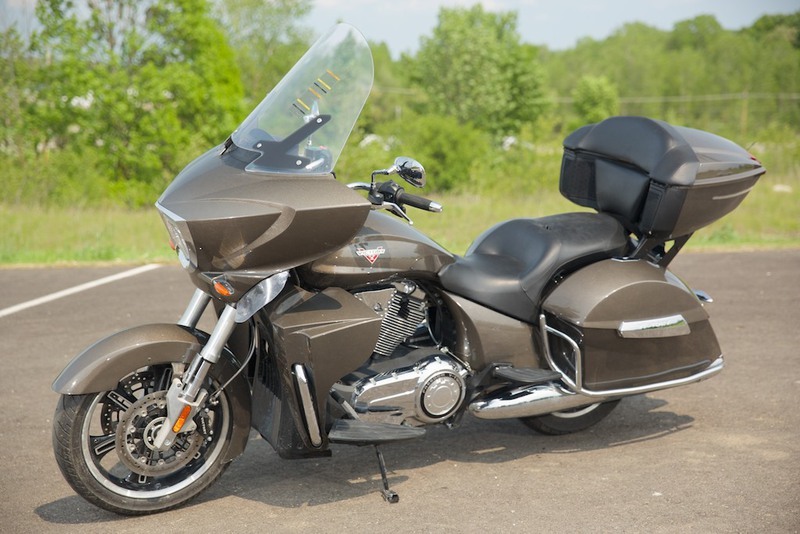 .Bagger motorcycle riders ride in style on the Cross Country 8-Ball from Victory Motorcycles. 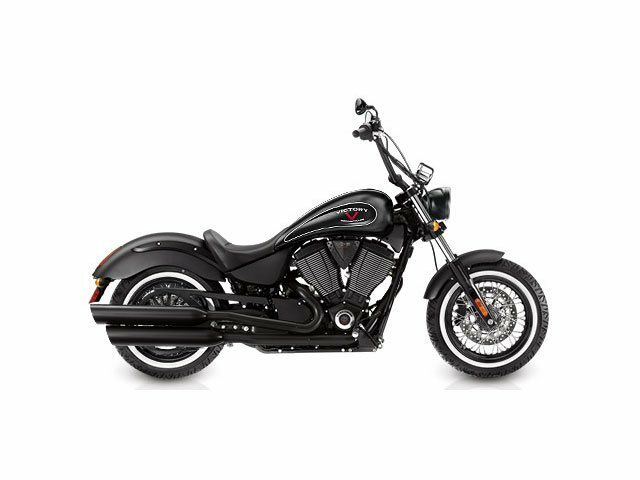 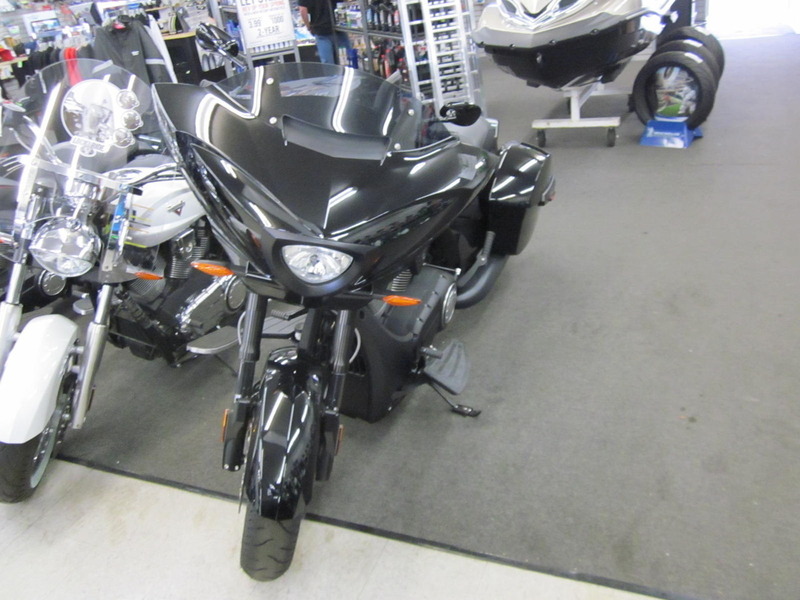 It has a stylish fairing, audio, convenient storage space, comfortable seating for one or two riders, and blacked-out style. 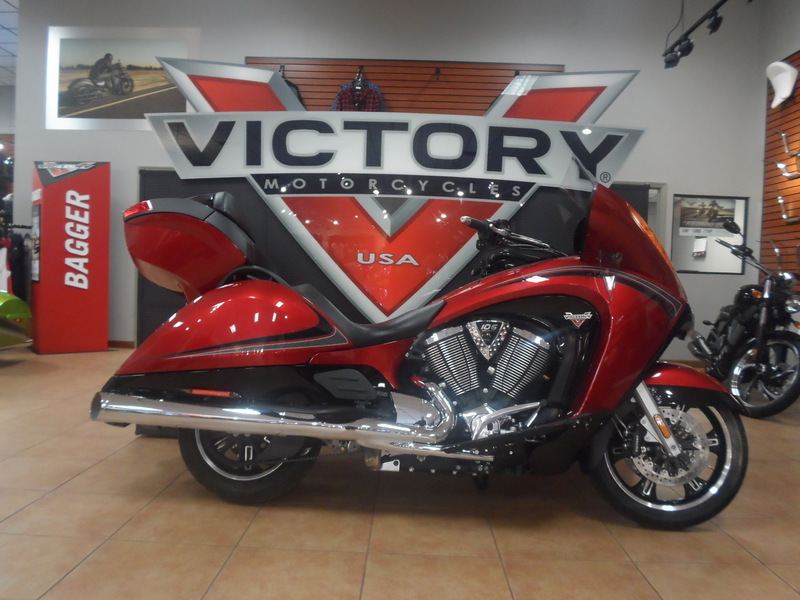 2014 Victory Ness Cross Country Limited Edition, LIMITED EDITION, SALE PRICE!!! 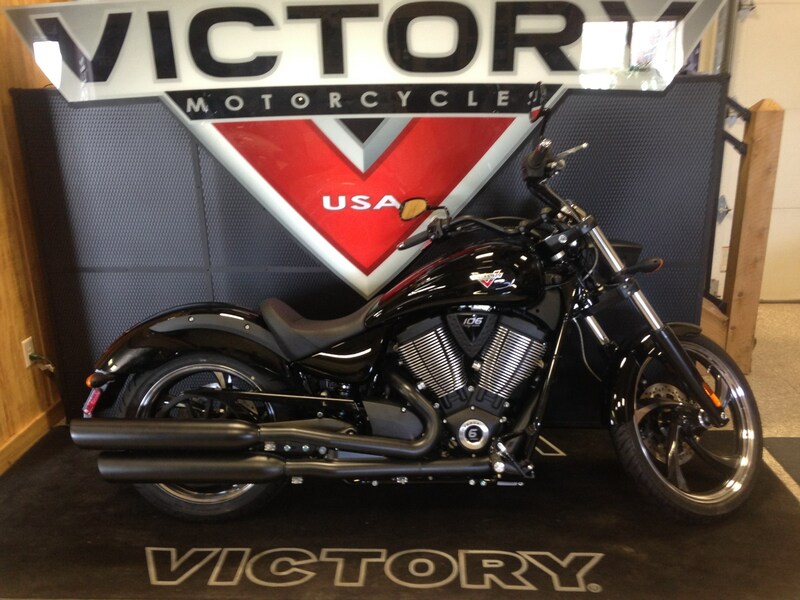 - Arlen, Cory and Zach Ness have created this numbered, limited-edition Ness Cross Country exclusively for Victory. 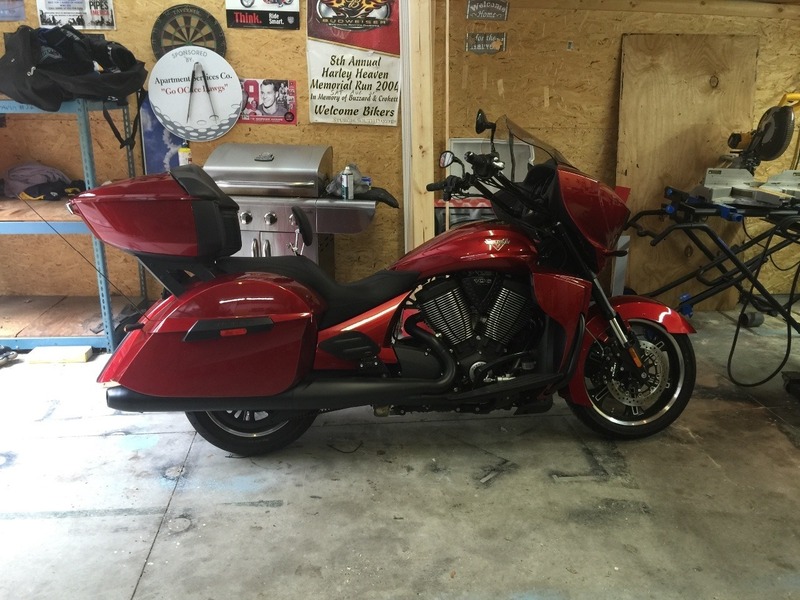 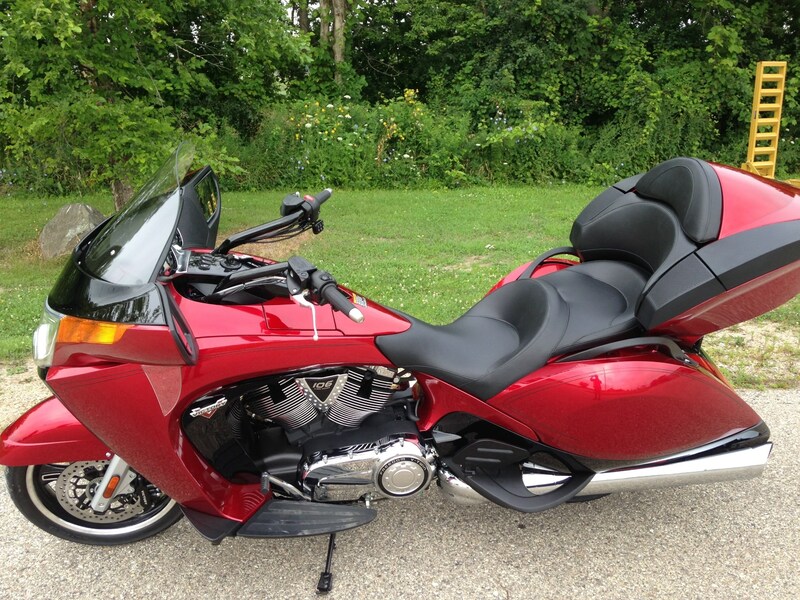 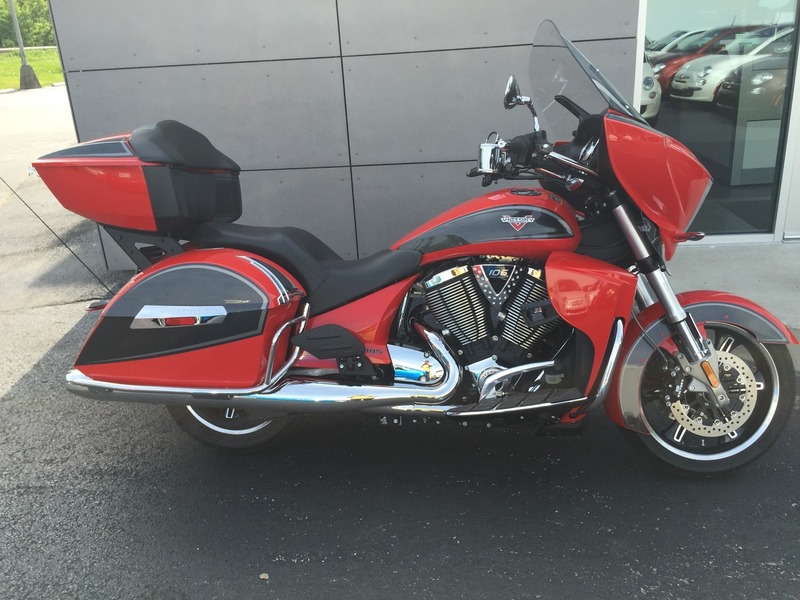 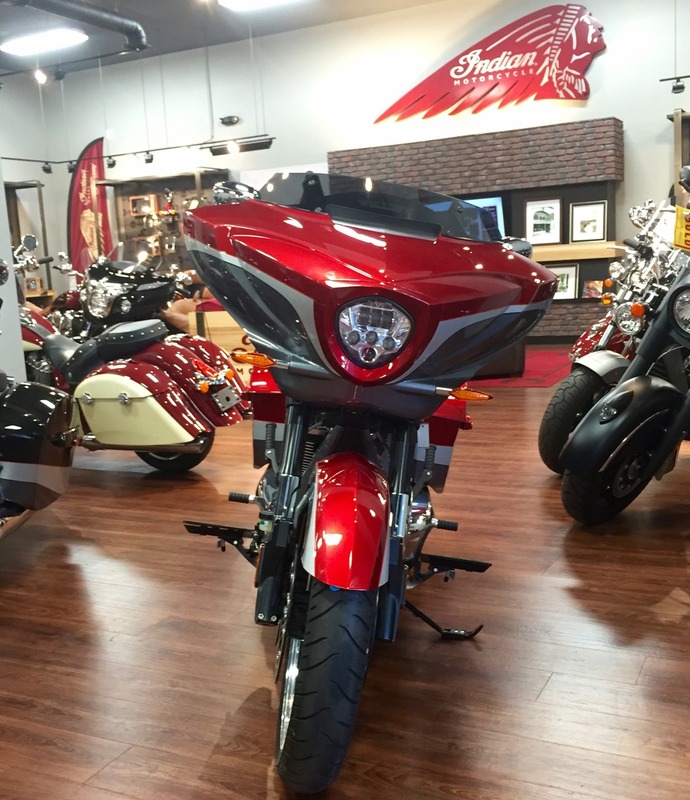 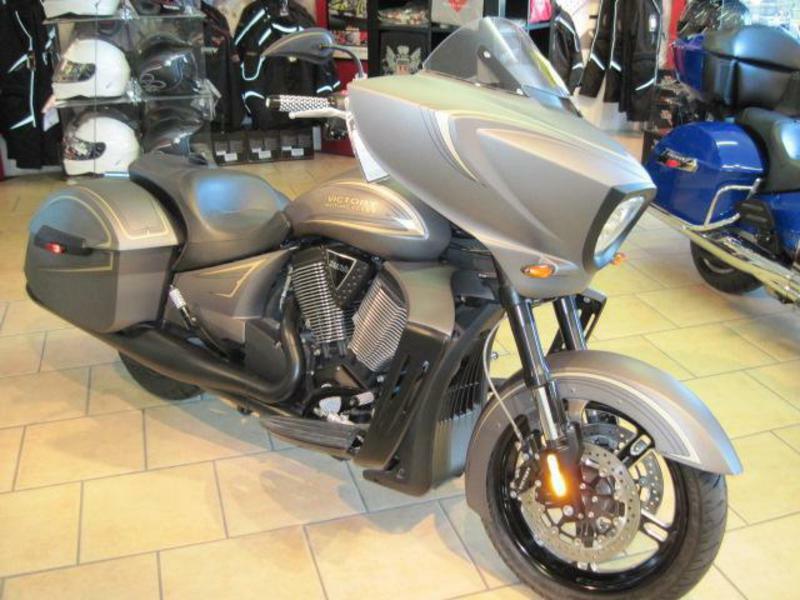 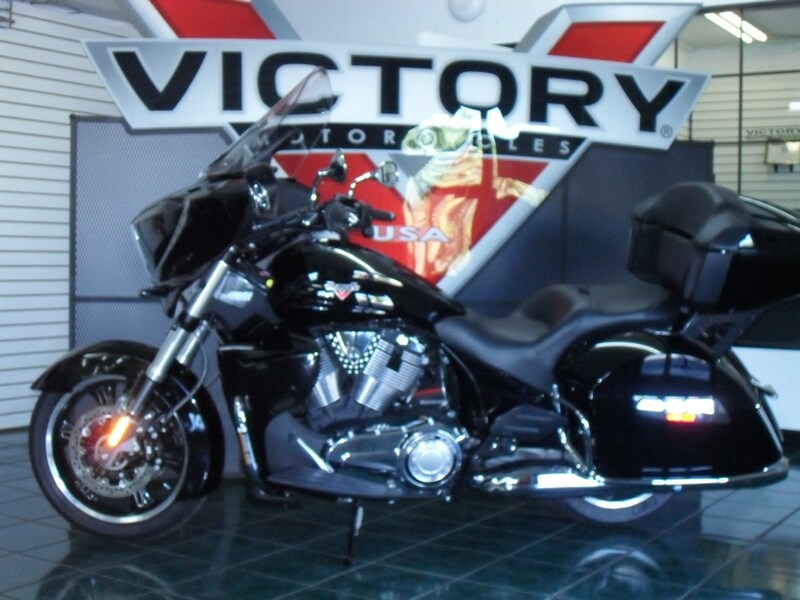 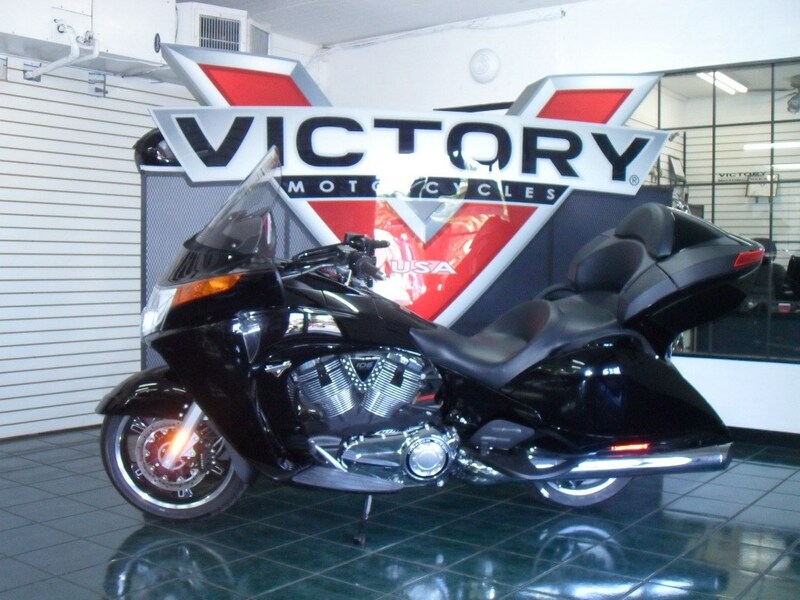 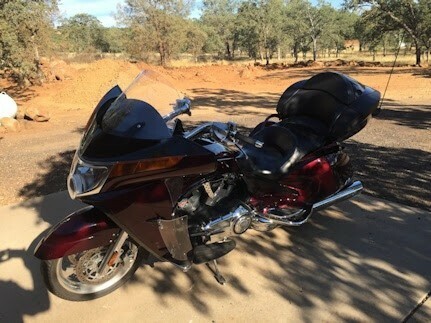 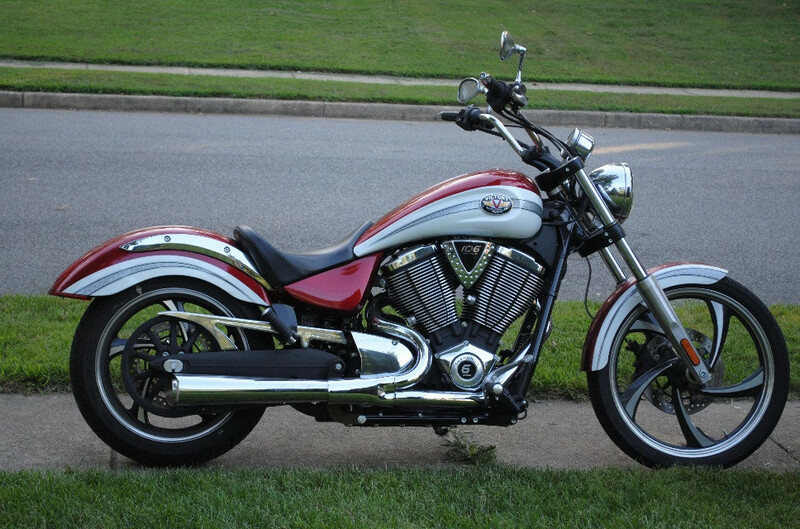 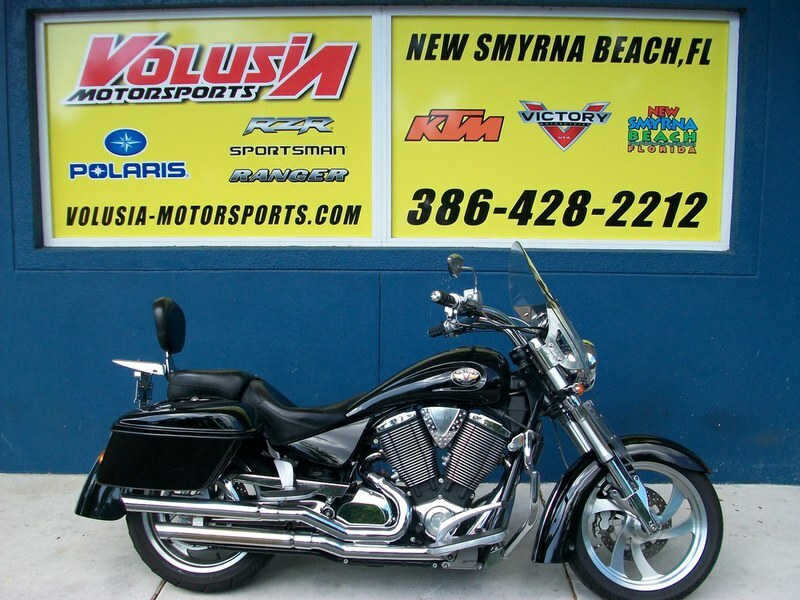 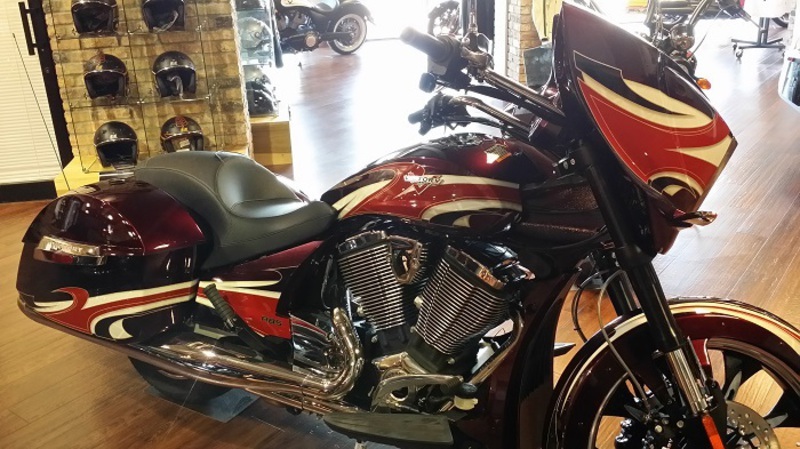 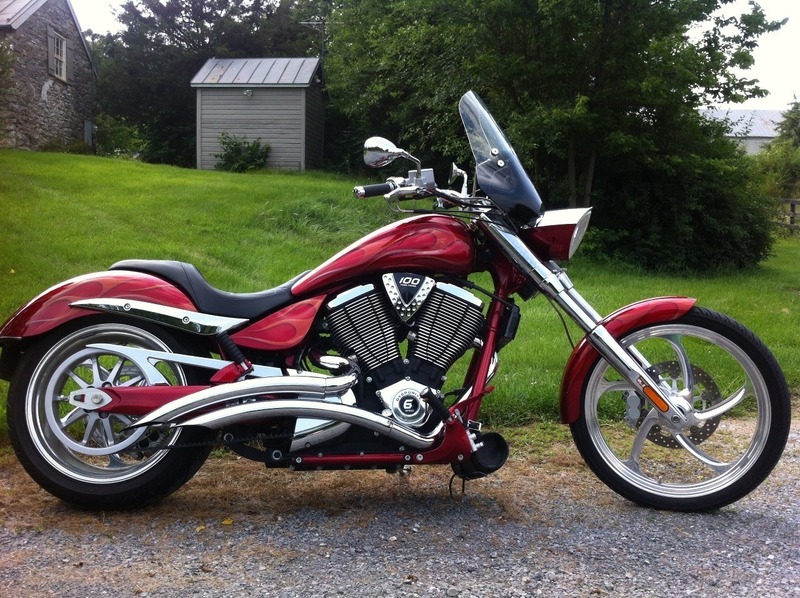 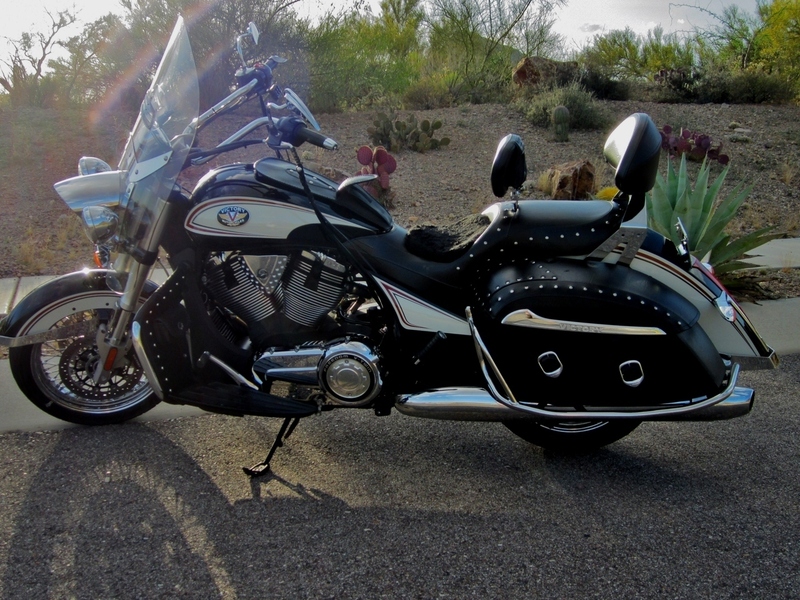 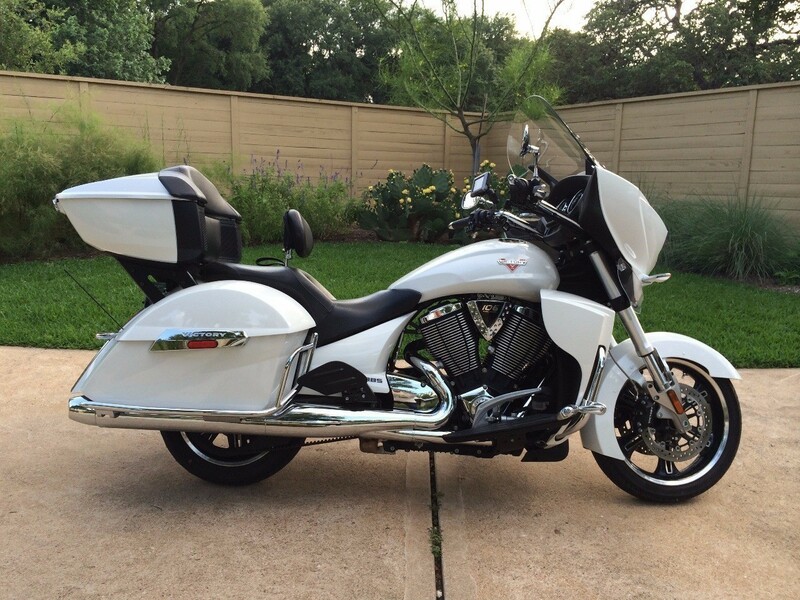 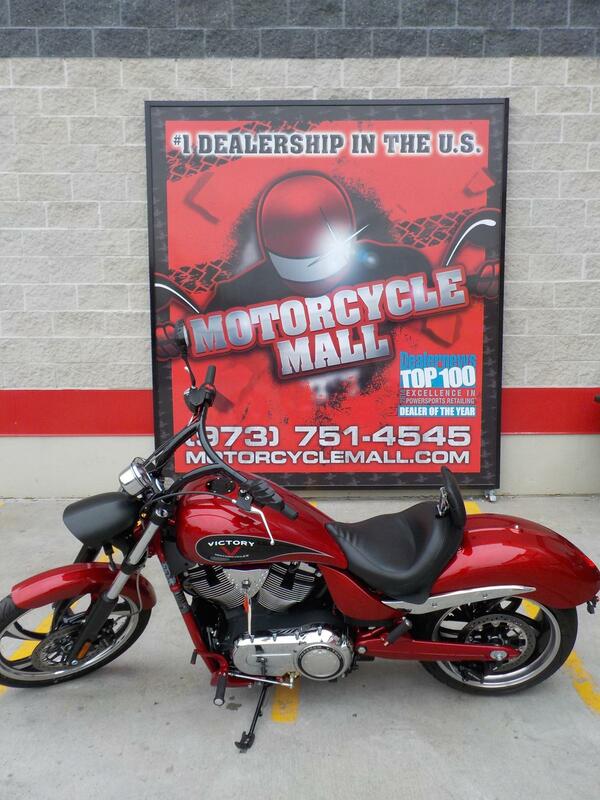 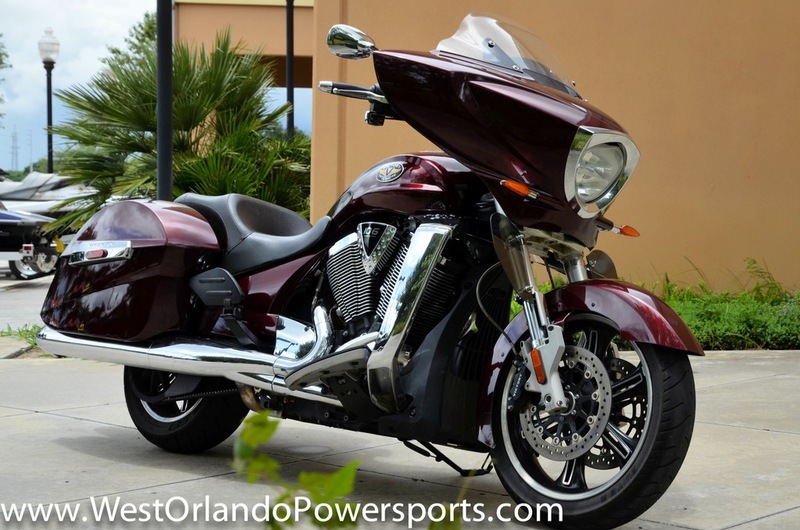 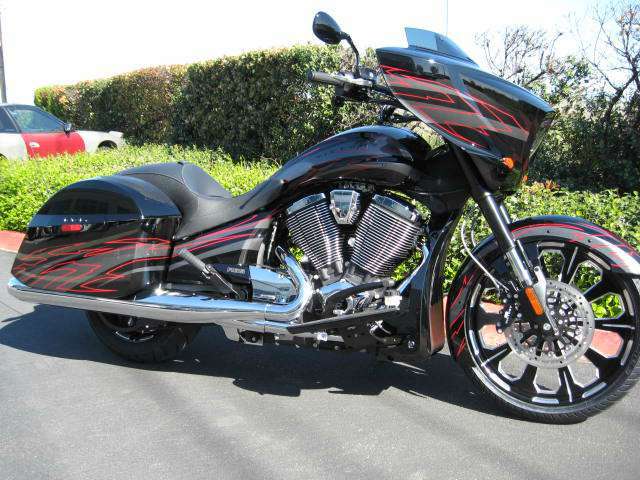 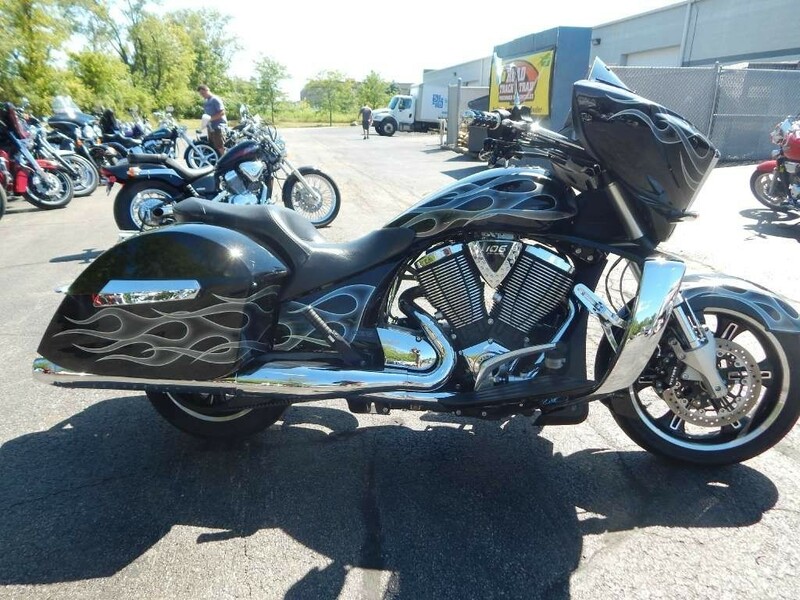 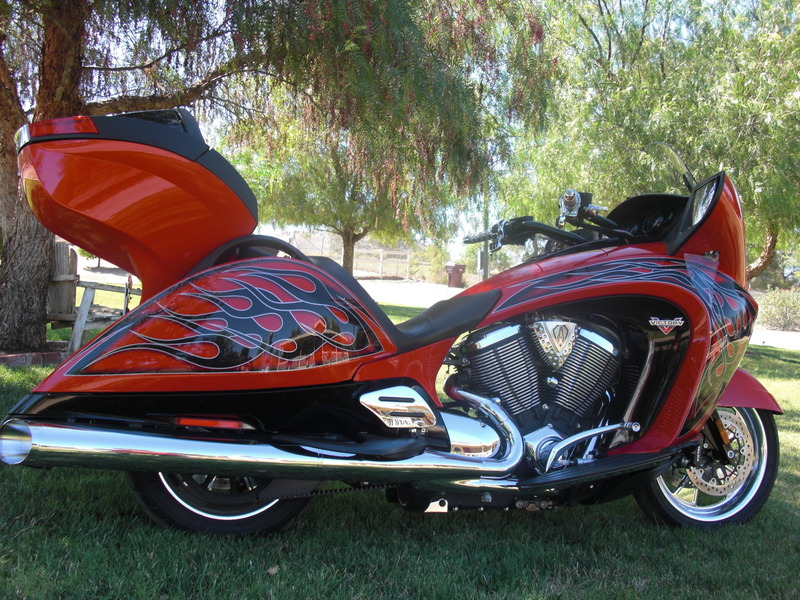 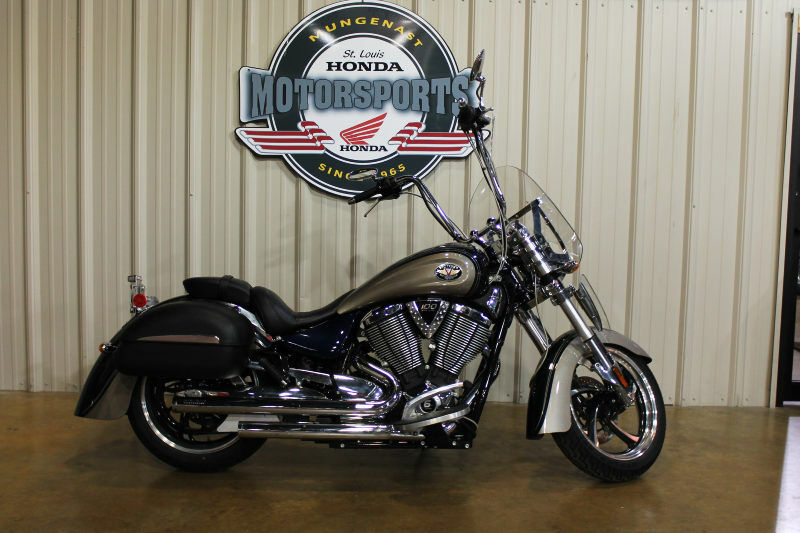 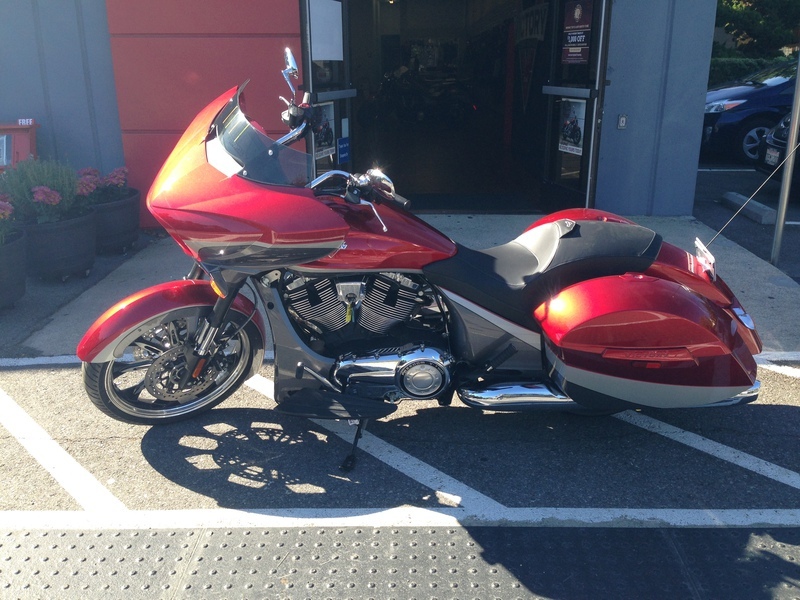 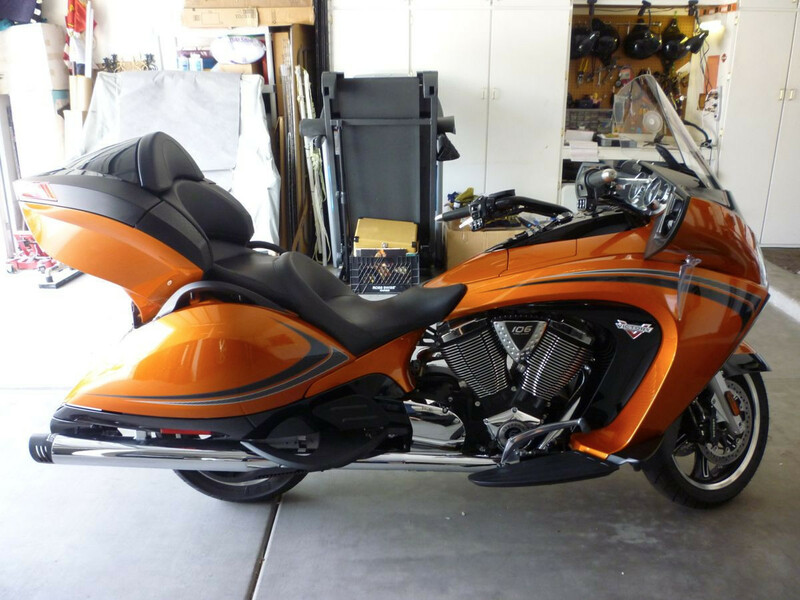 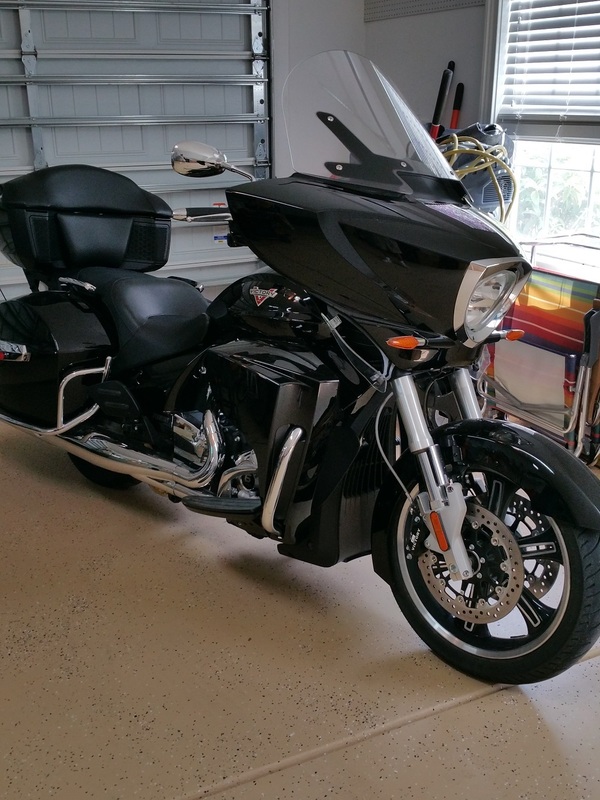 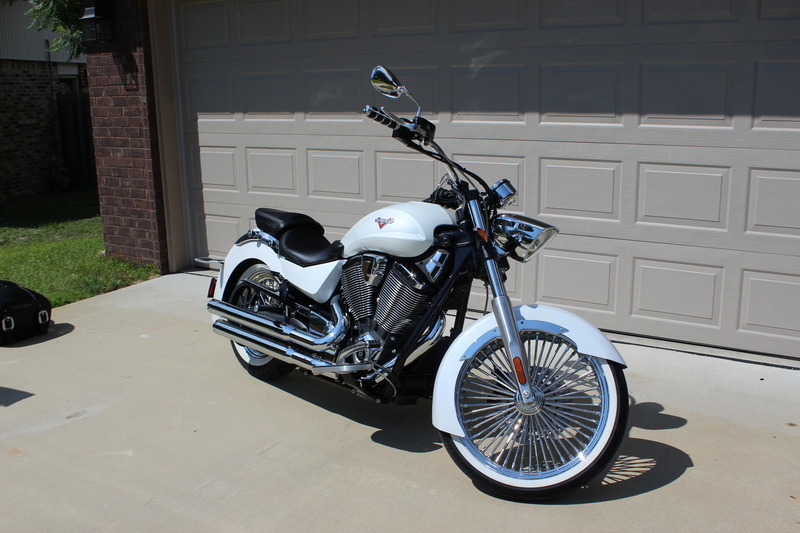 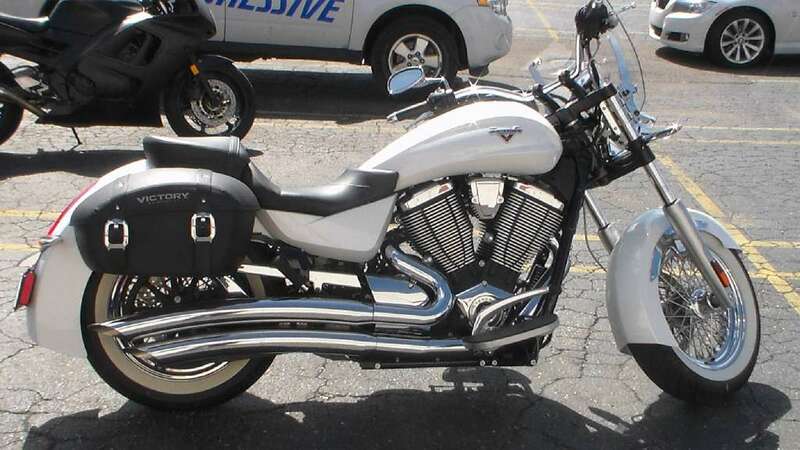 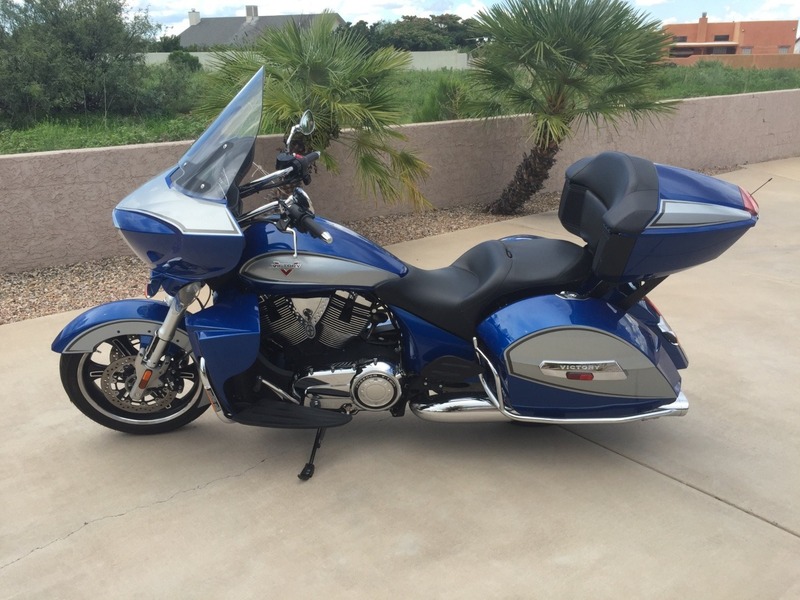 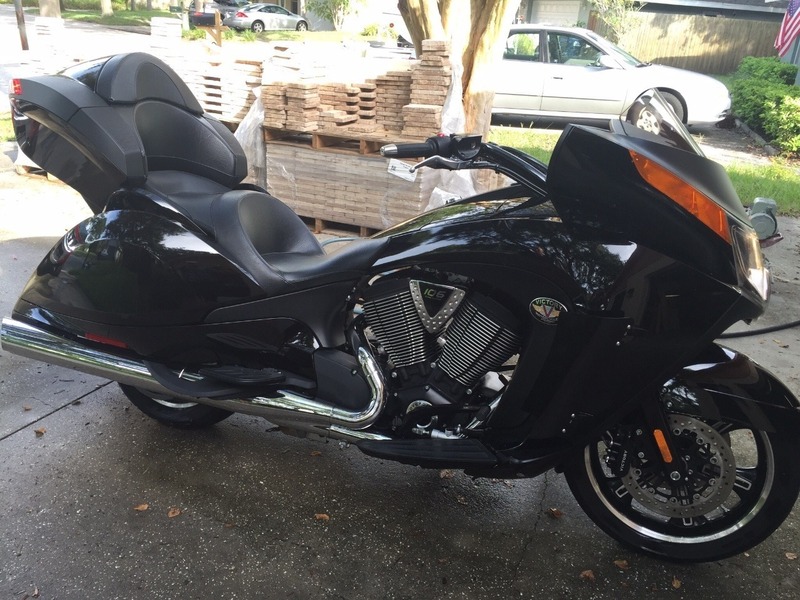 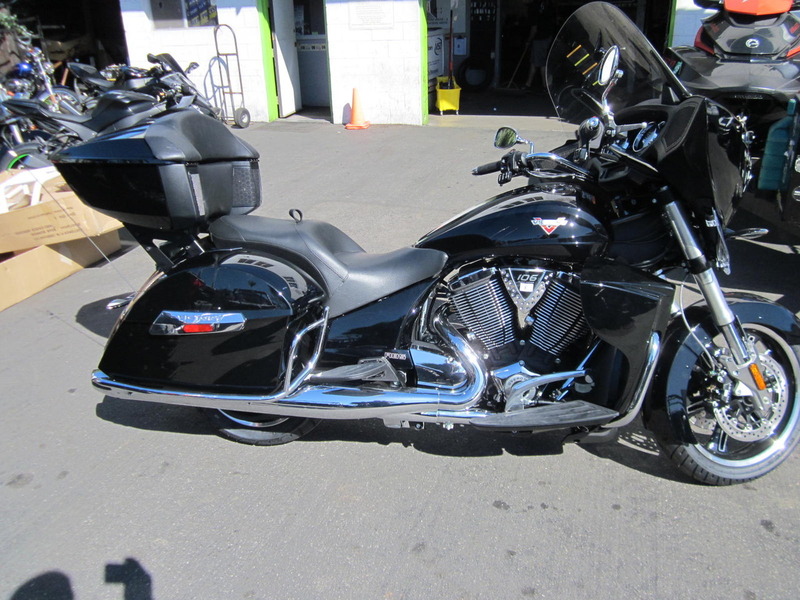 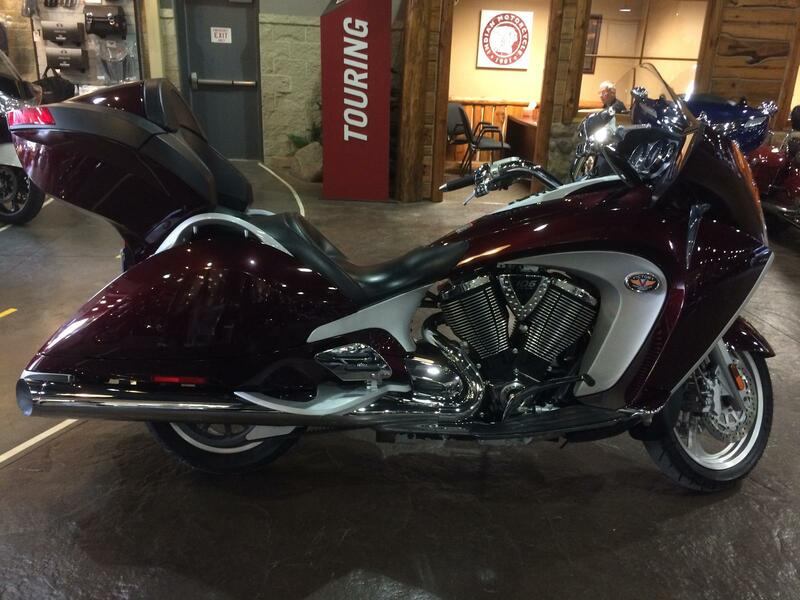 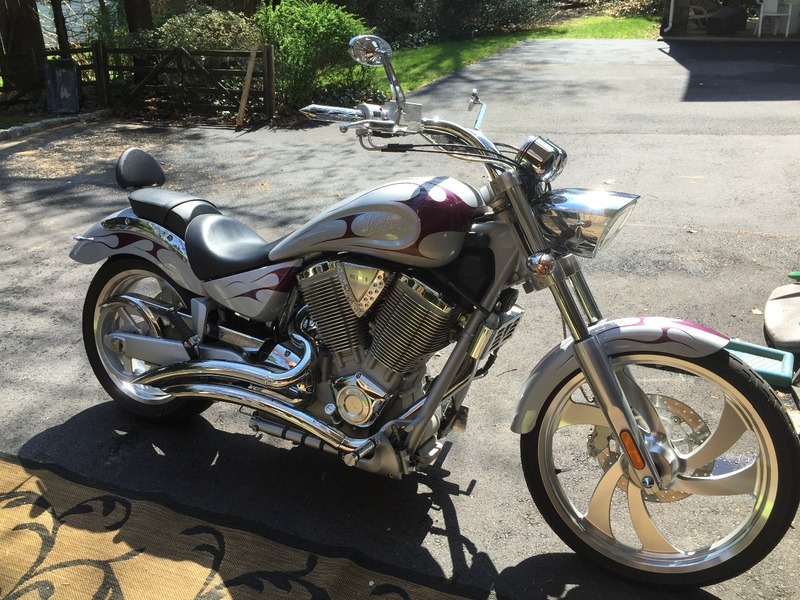 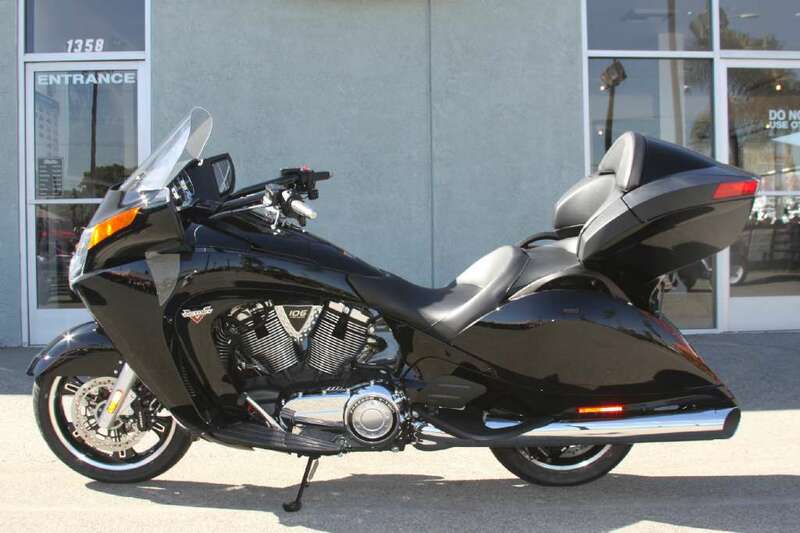 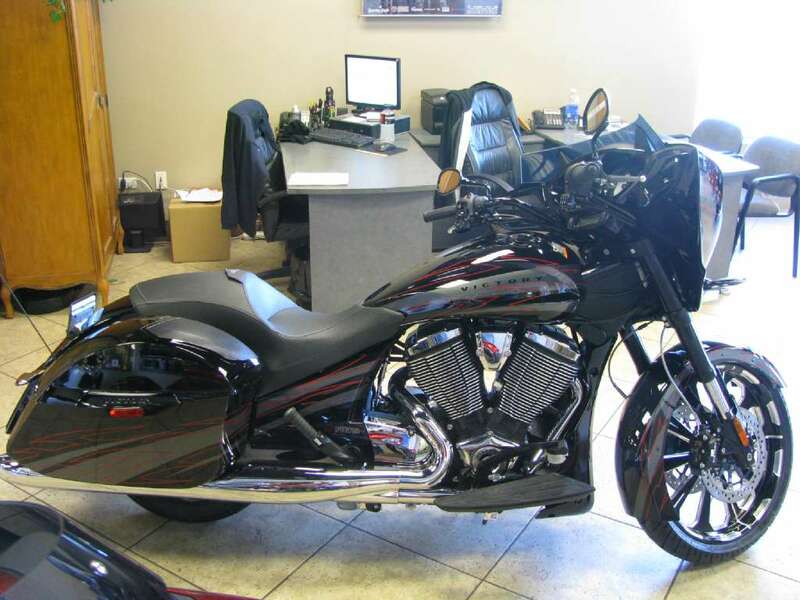 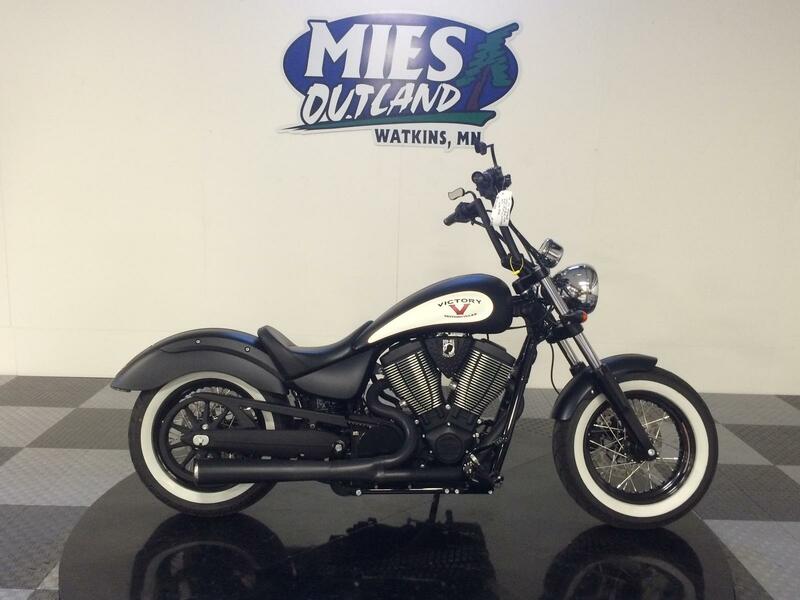 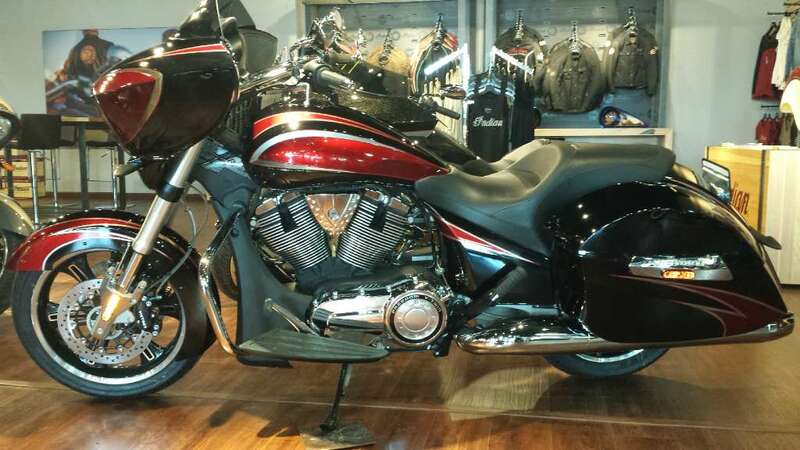 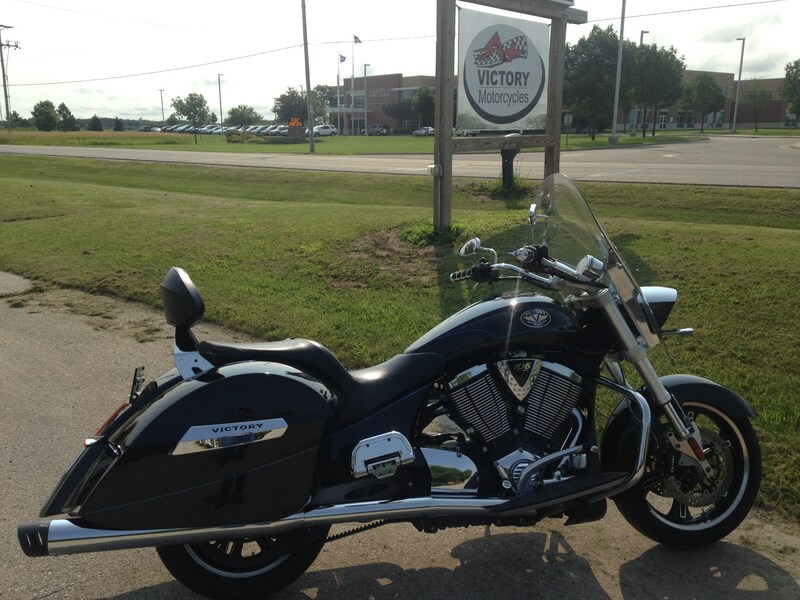 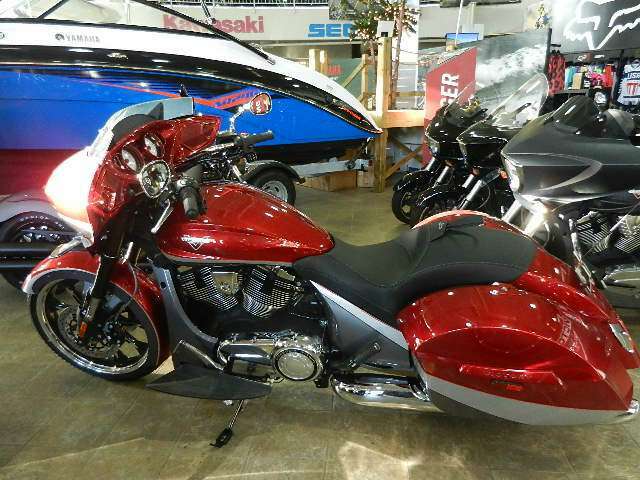 2008 VICTORY Vision Tour Premium, Executive Demo with miles, in great condition!